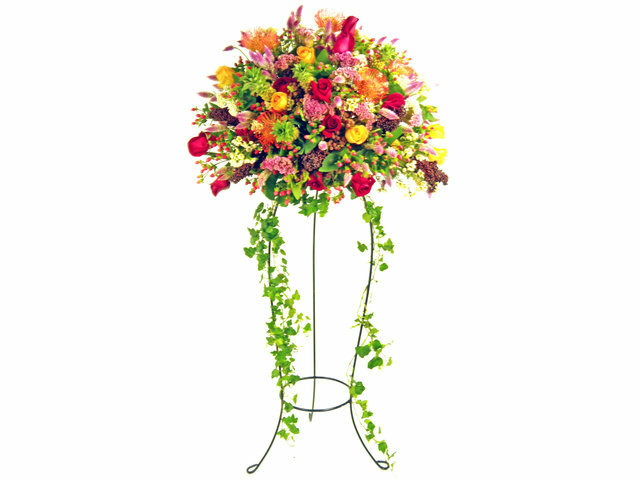 Winnie Top floral designer from Holland. 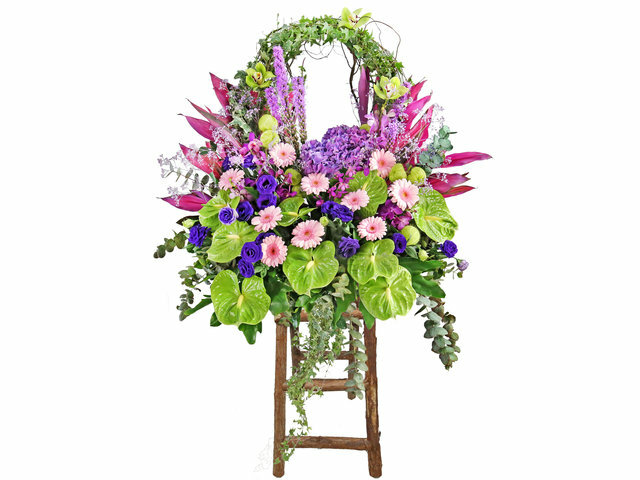 Winner of many regional floral competitions. 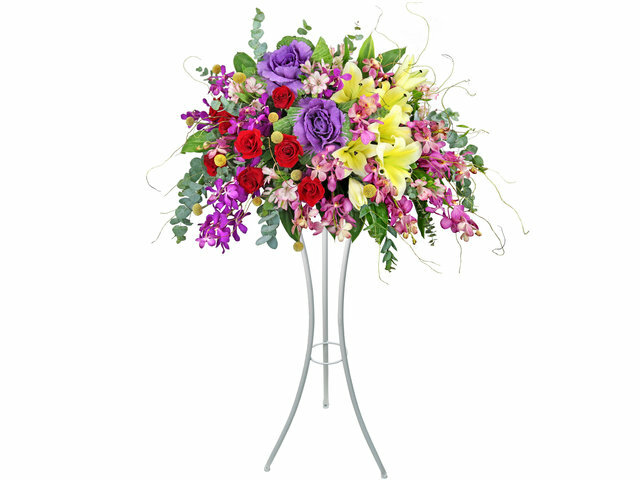 Cathy Former owner of flower shops in a five stars hotel and grade-A office premise. 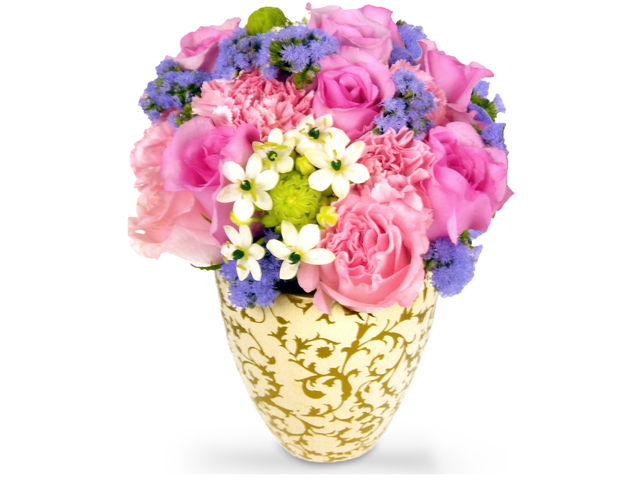 Letty Expat chief floral designer and wedding decor consultant from Toronto. 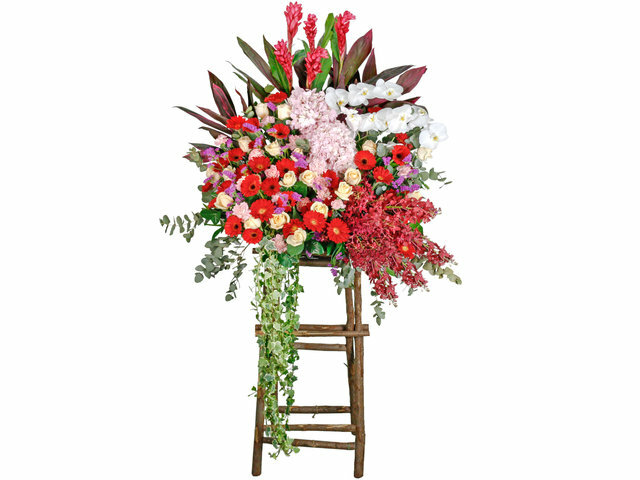 Staff Years of high-end branding expertise. 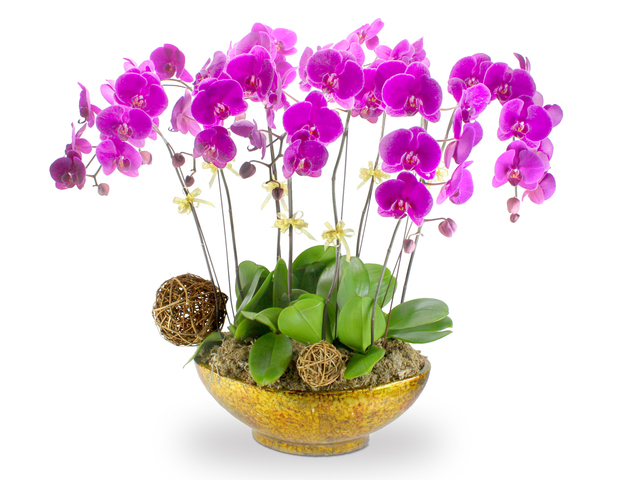 Single focus on quality and service. 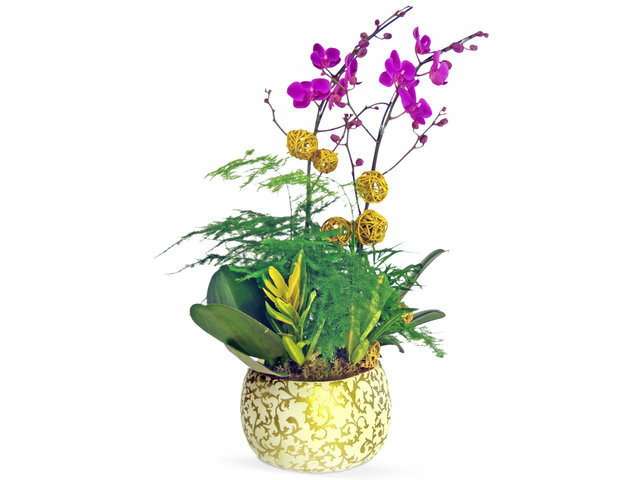 Each season, we fuse the latest and best international design elements into our new products. 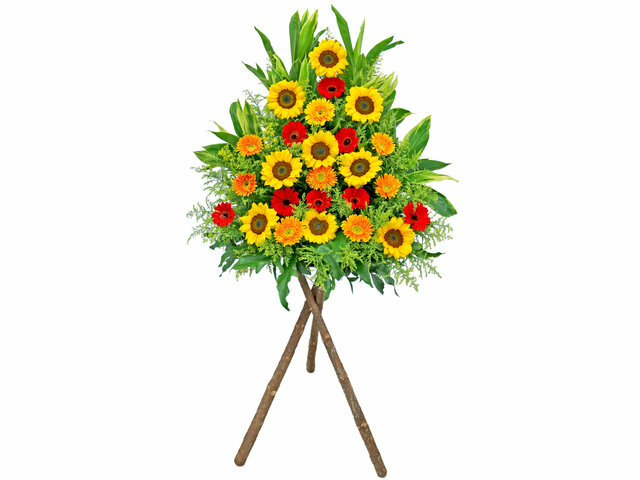 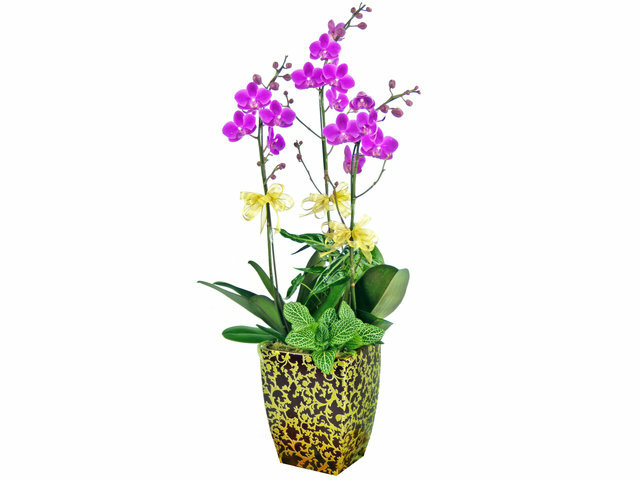 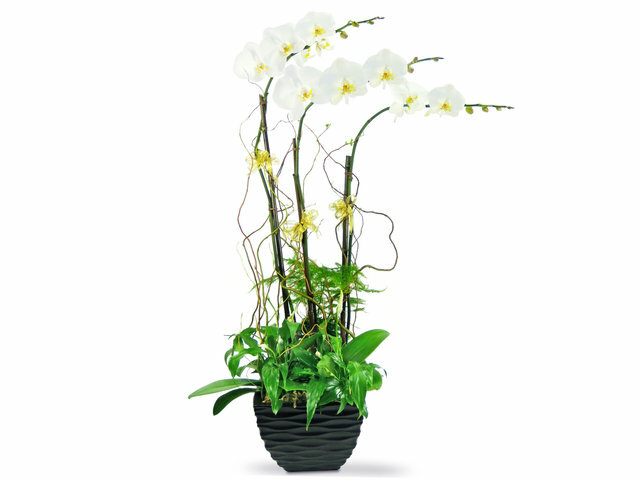 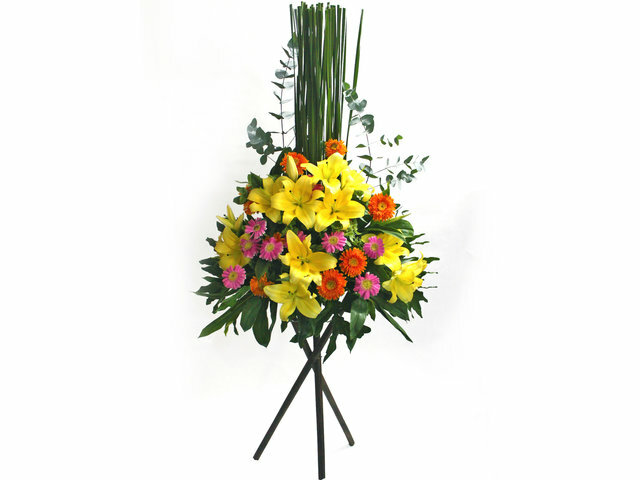 Top florists personally craft and QC customer products, ensures reliable quality. 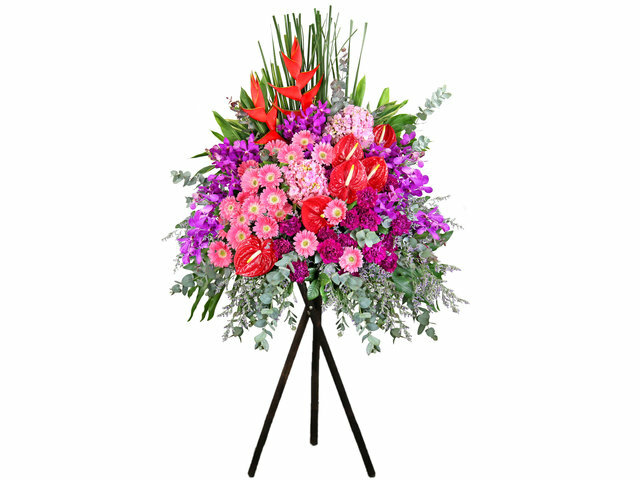 Our workshop is located in Mongkok, neighboring the famous Hong Kong flower market and fruit market. 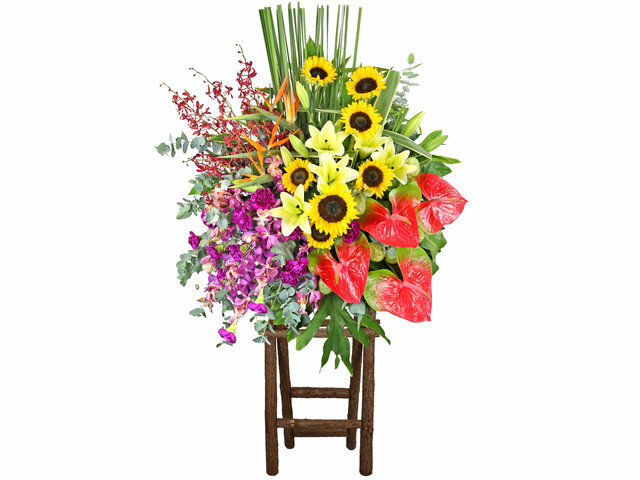 Flowers and produce supplied twice daily, fresh and seasonal. 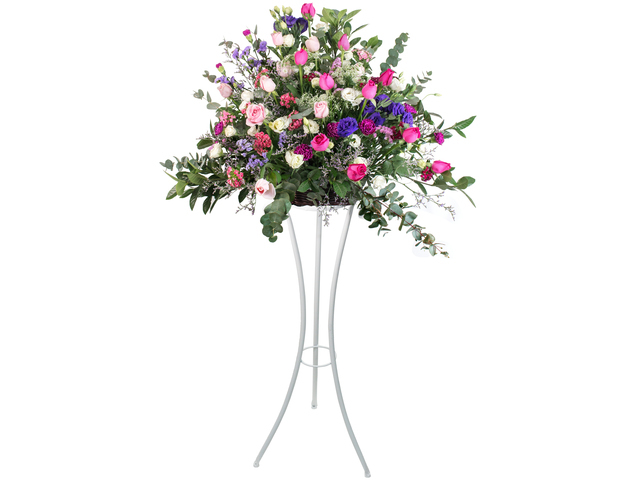 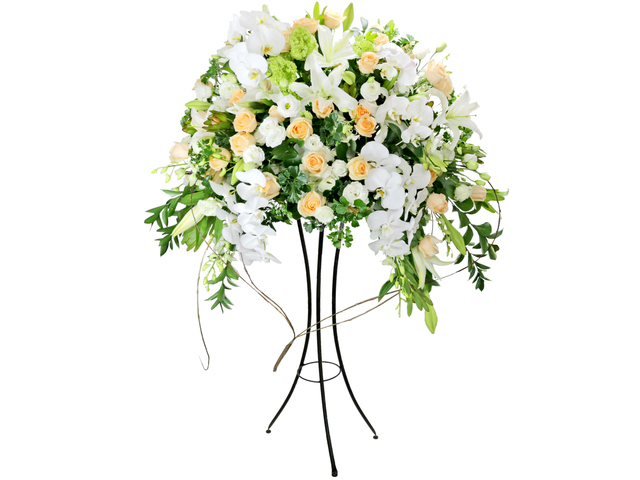 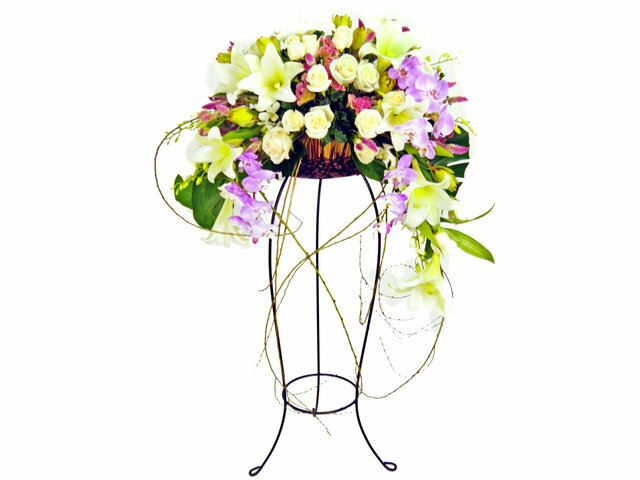 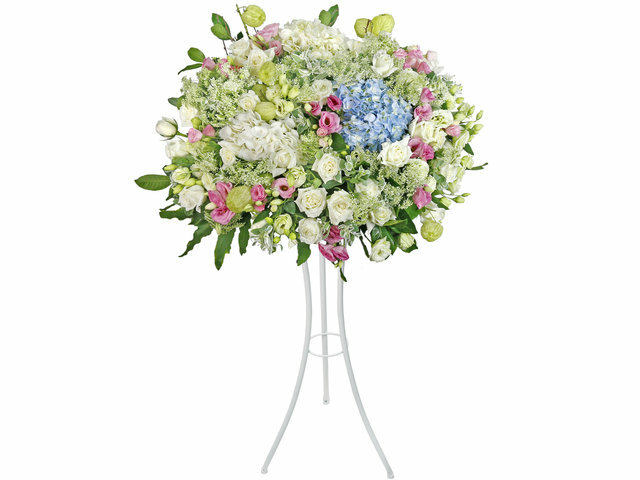 - HK GiveGift Boutique provides professional grand opening flower stands, with wooden and metallic stands available. 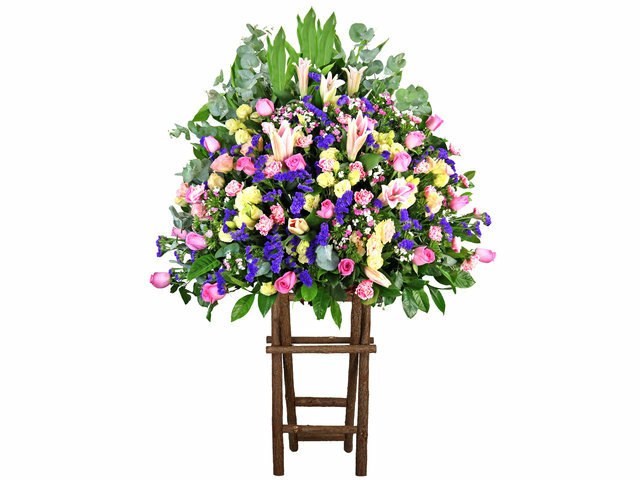 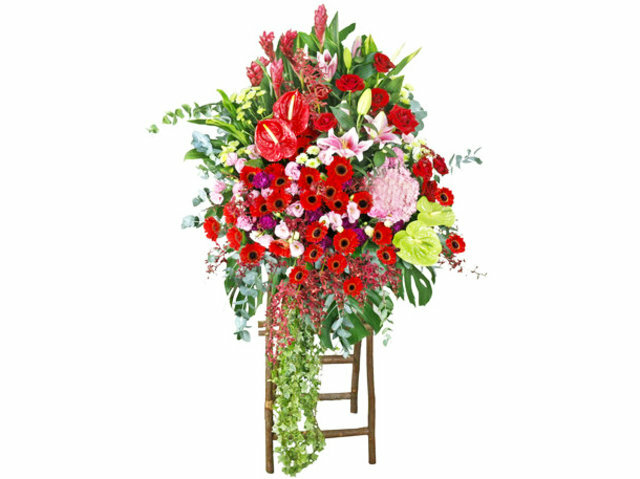 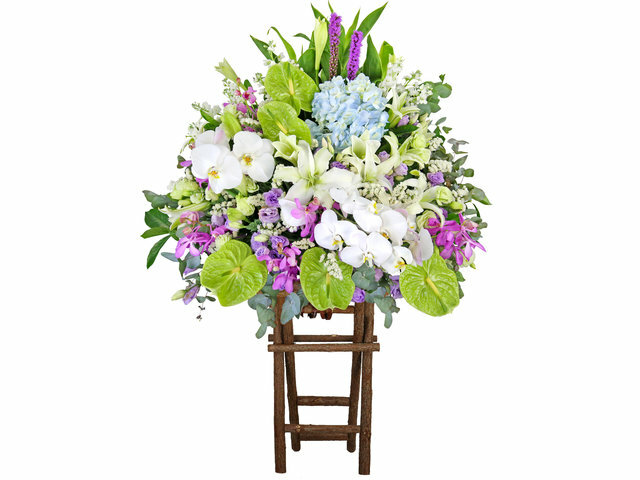 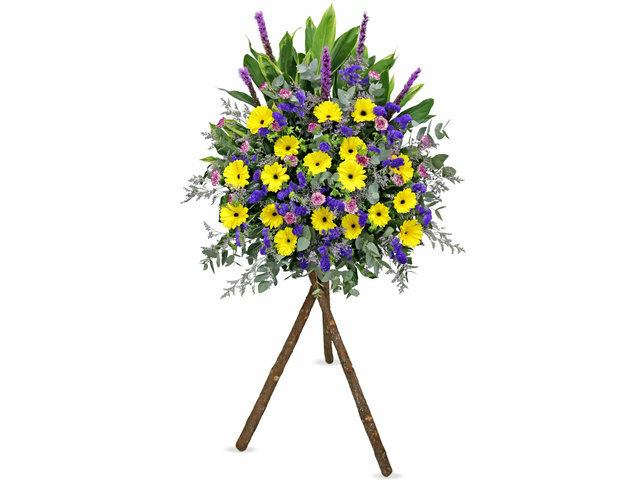 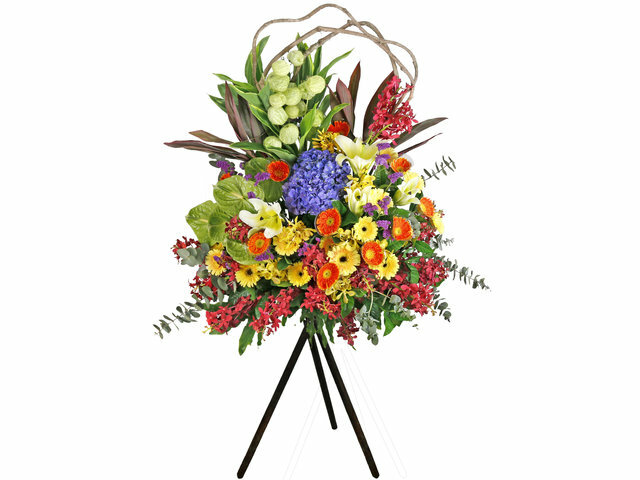 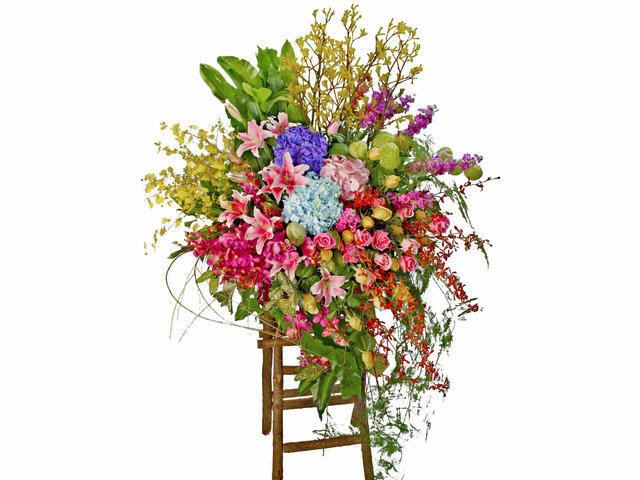 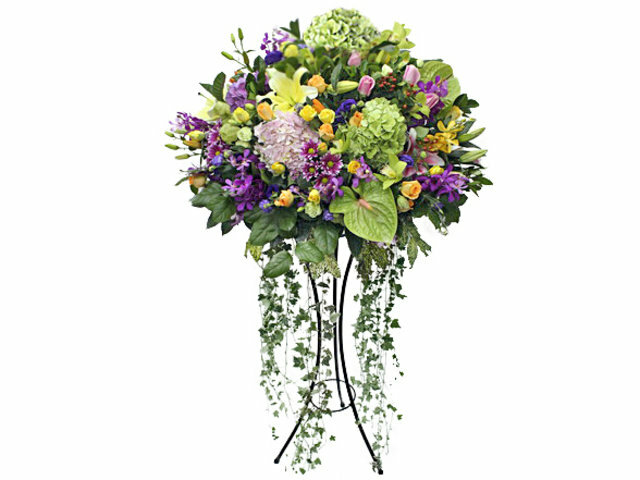 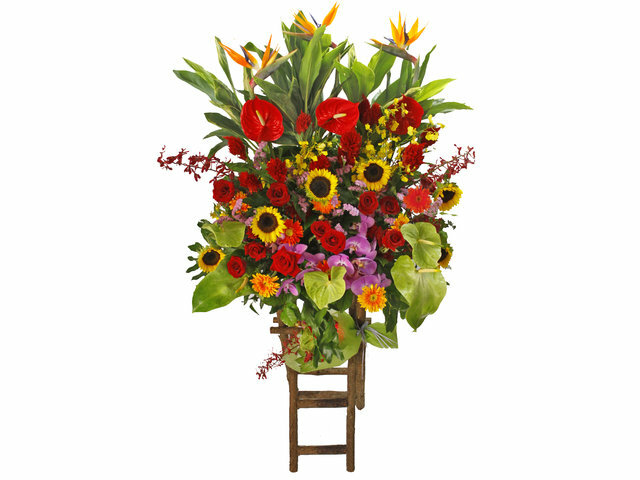 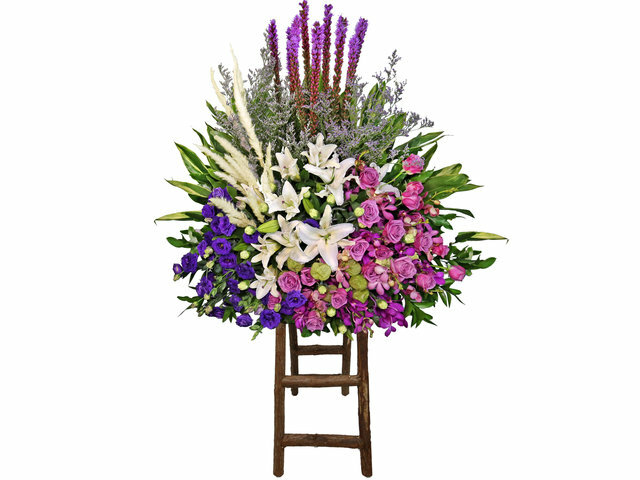 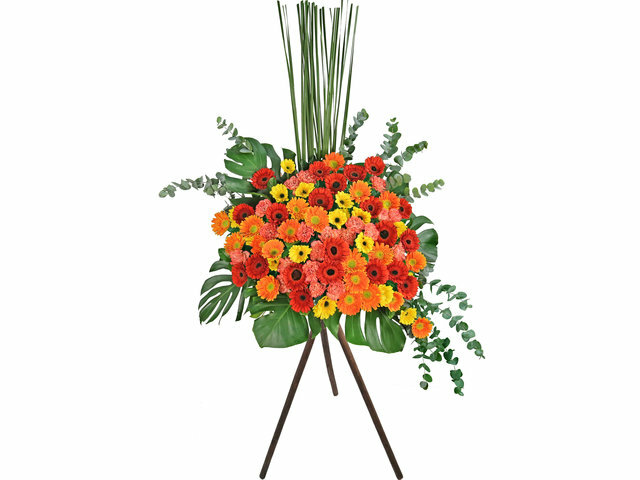 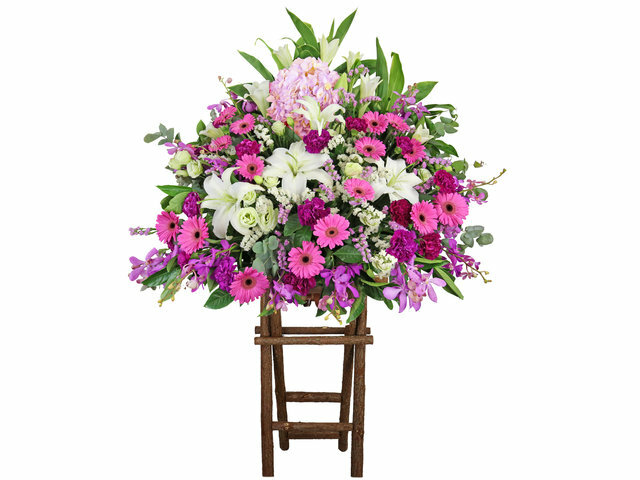 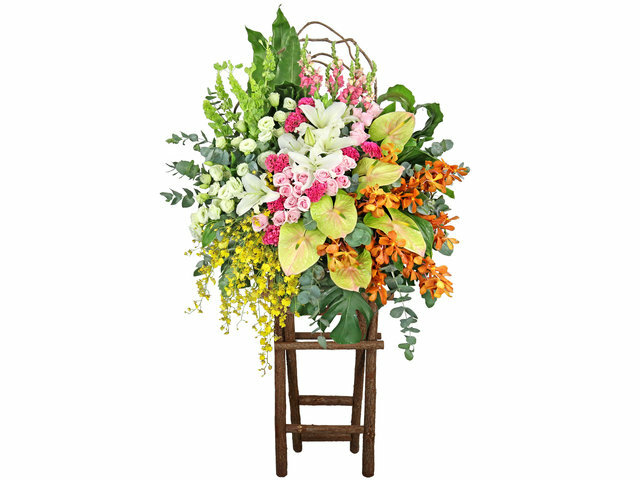 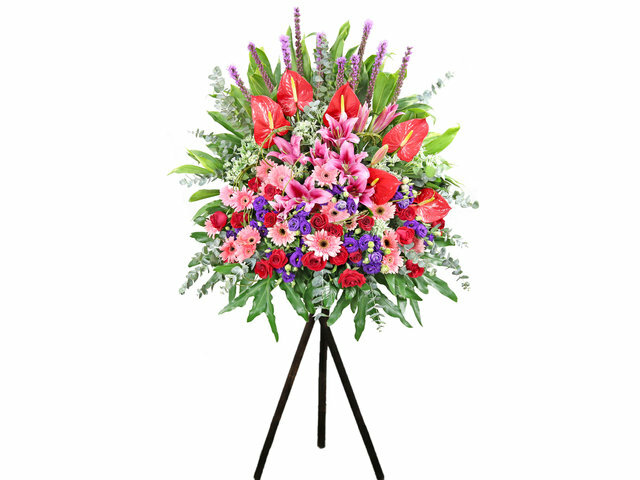 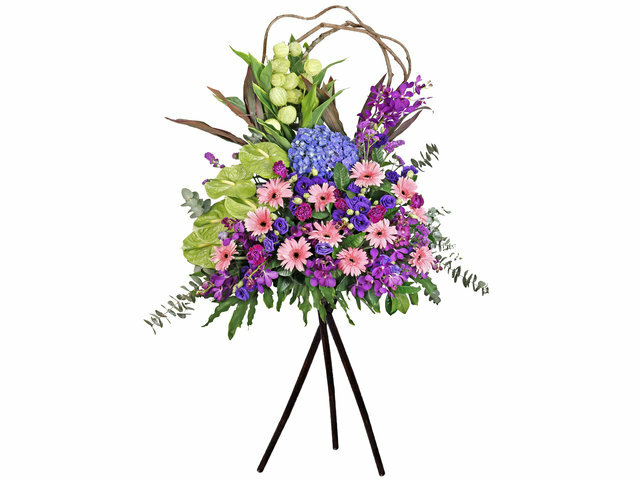 Our standing grand opening flower gift baskets come in different sizes, from shoulder height to seven feet tall, and go as wide as 6 feet wide for double grand opening flower baskets. 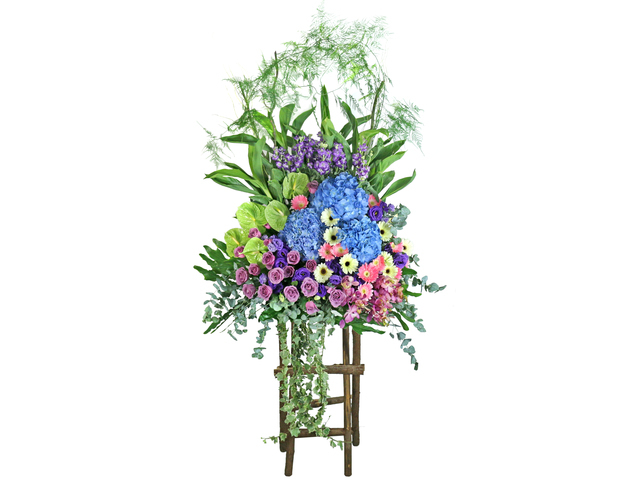 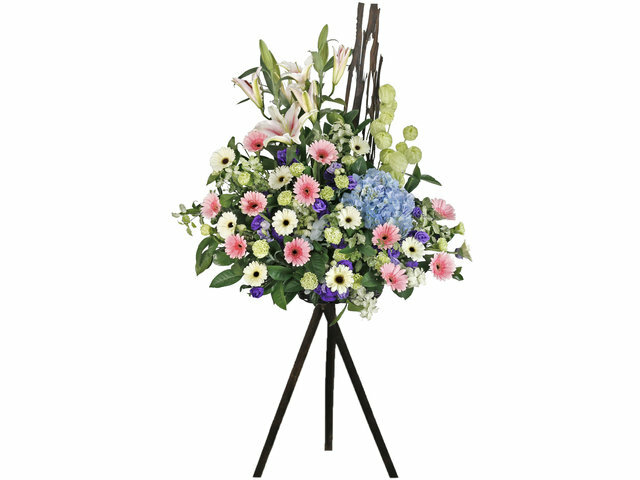 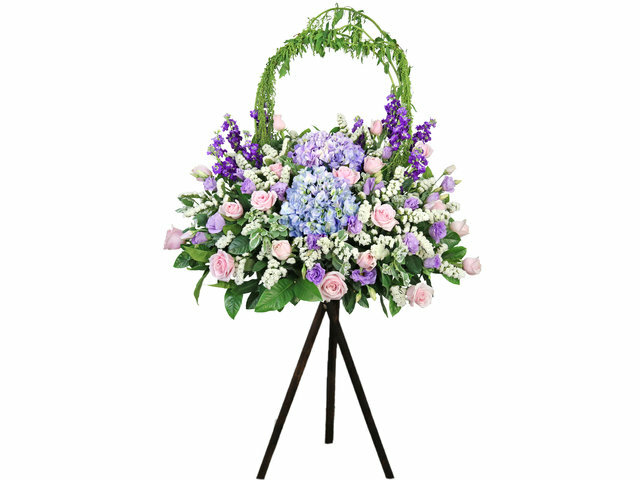 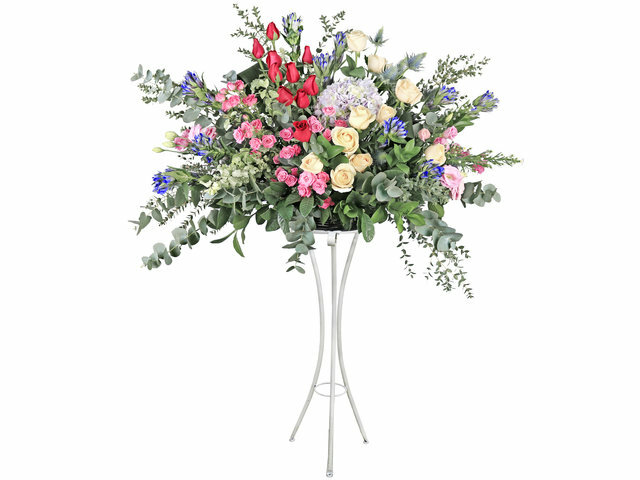 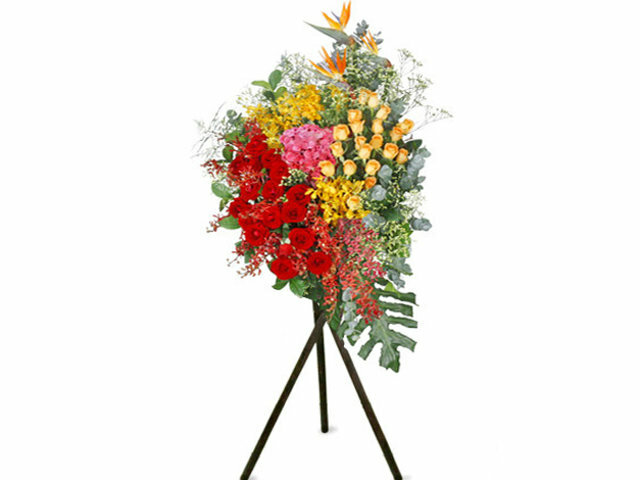 Our grand opening and ceremony gift flower basket stands are available in European, Japanese, Traditional Chinese styles, more mini and chic small exhibit flower basket stand style, and more elegant and grand ceremony flower basket stands. 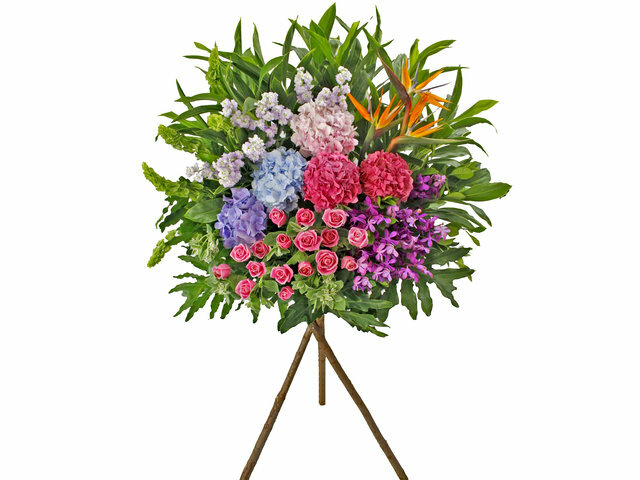 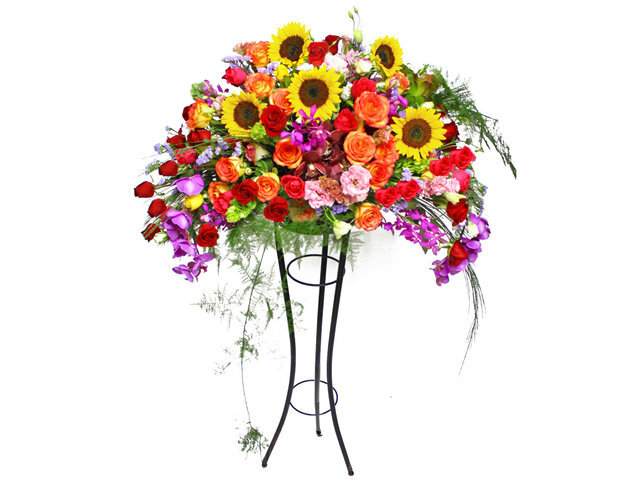 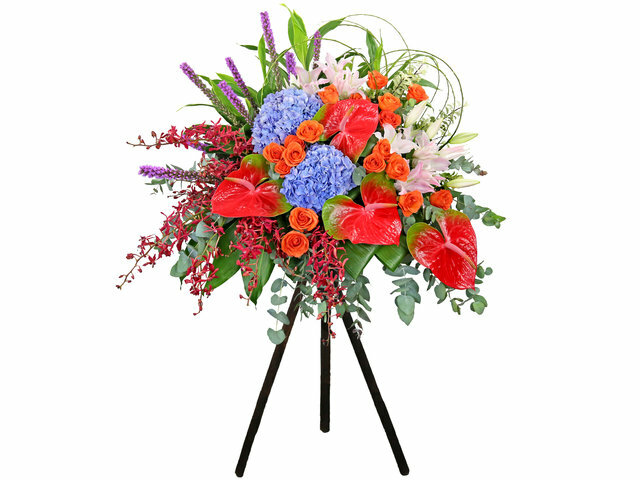 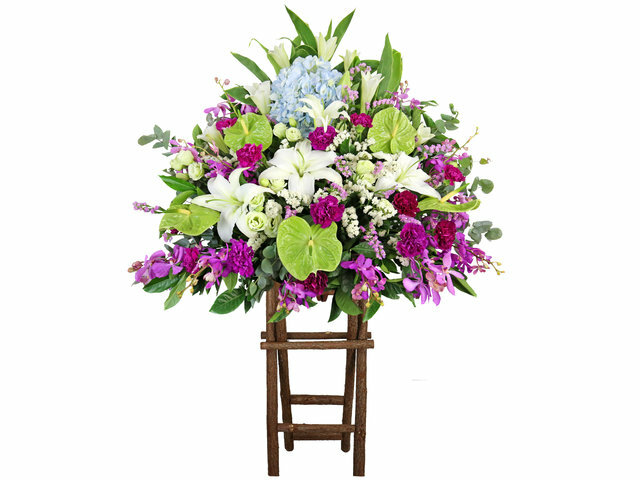 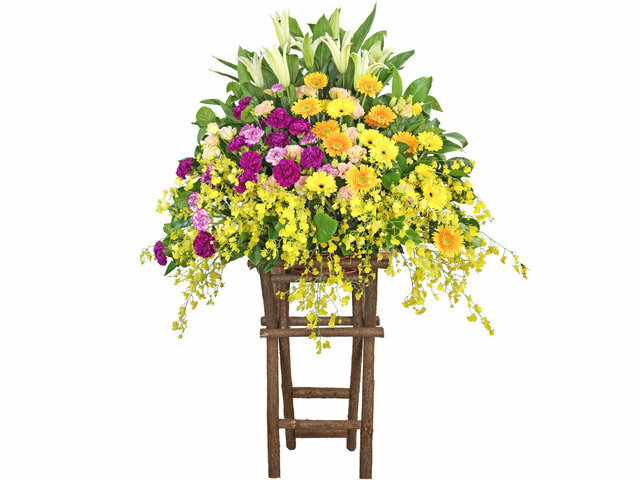 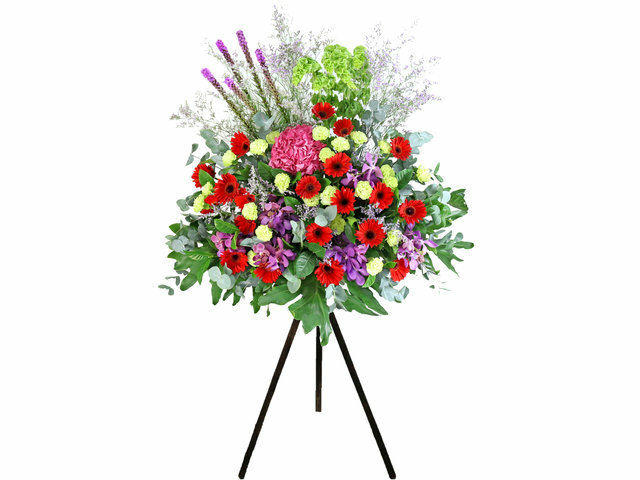 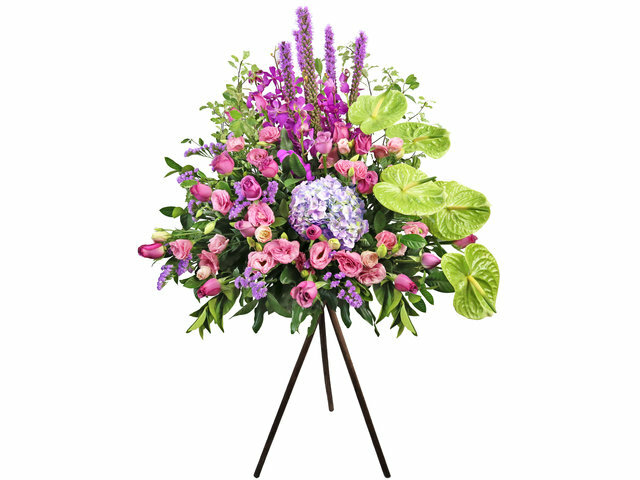 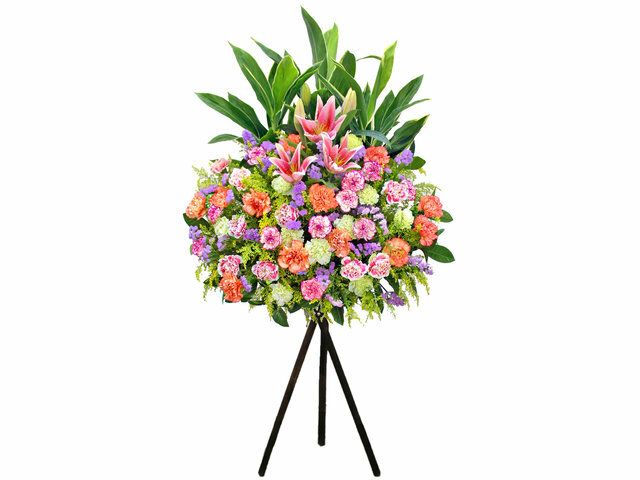 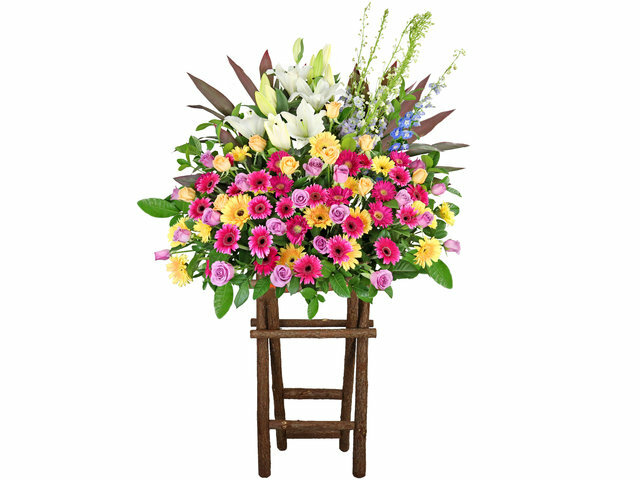 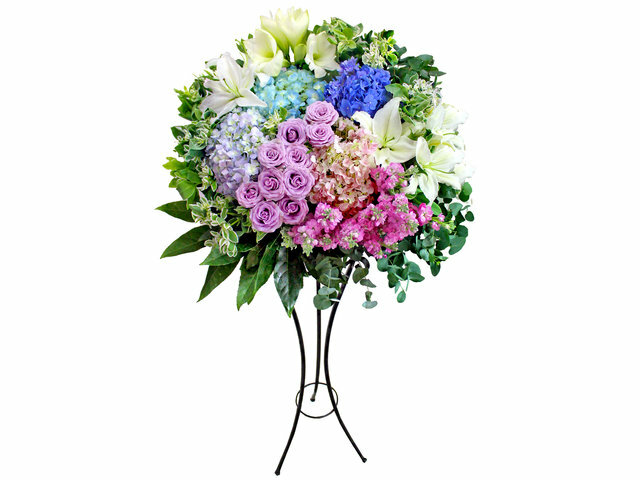 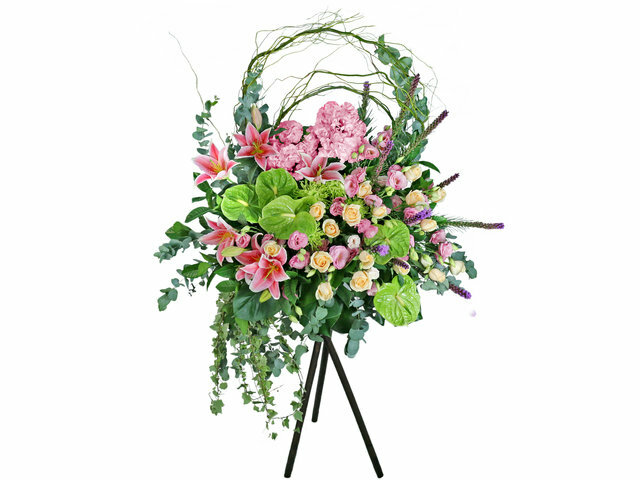 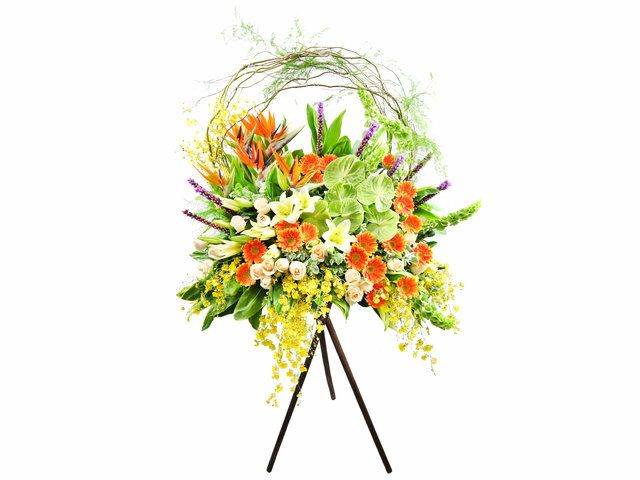 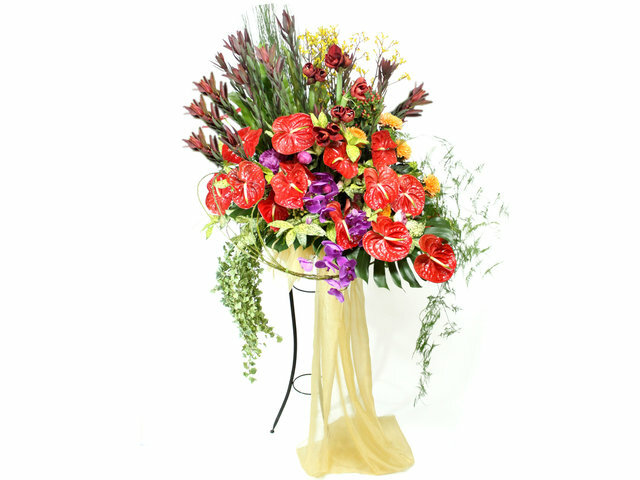 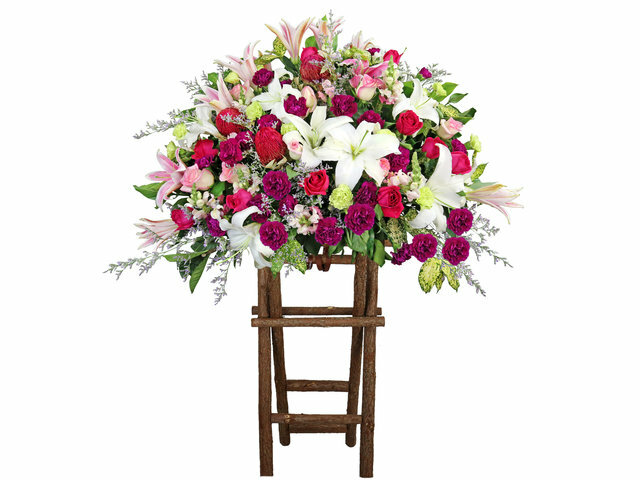 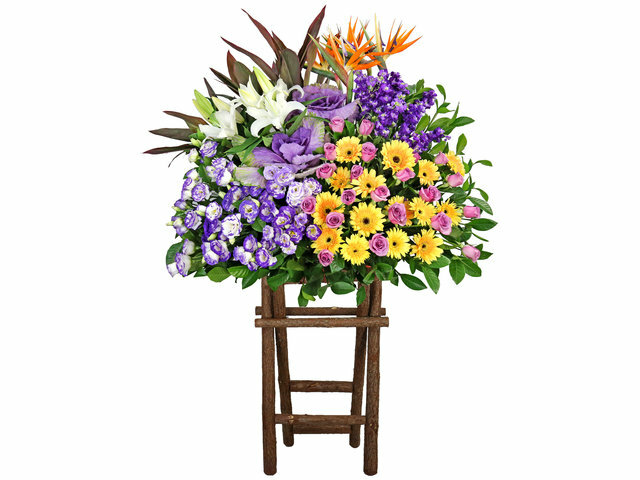 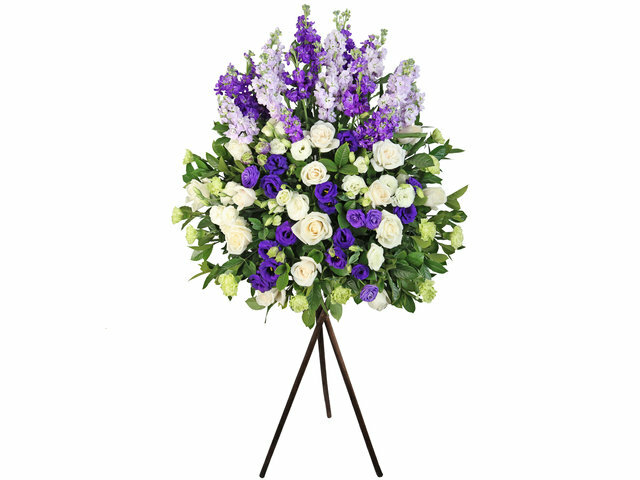 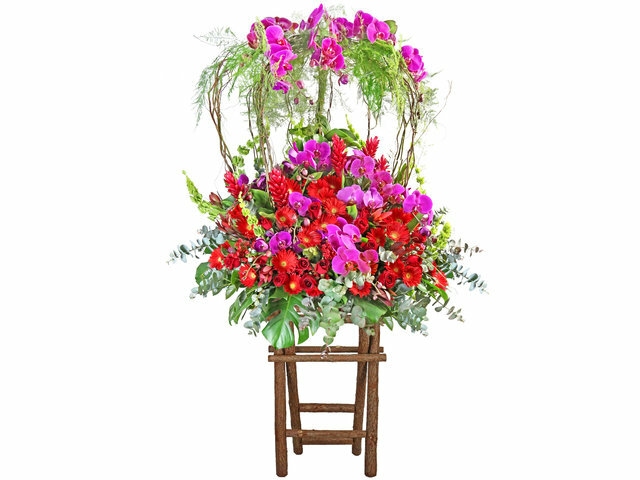 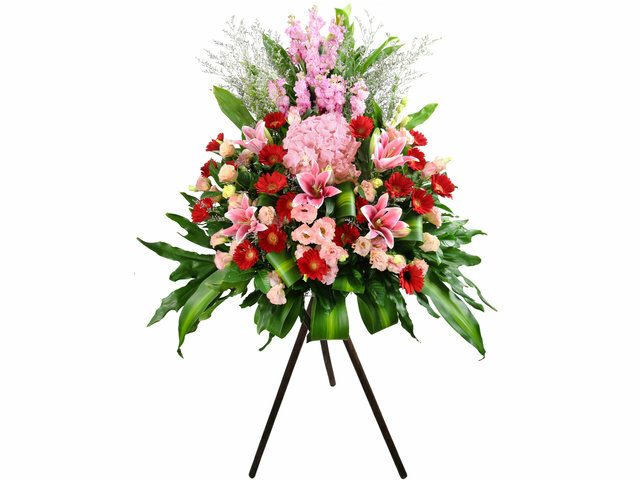 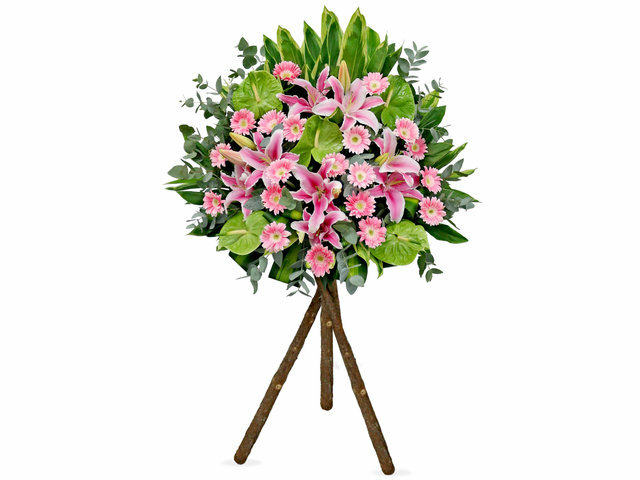 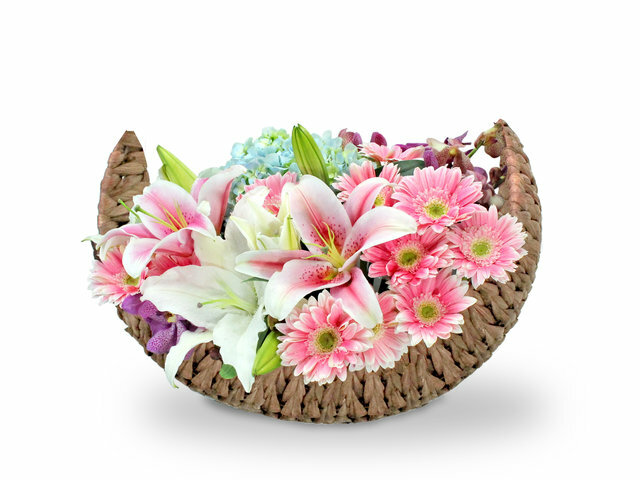 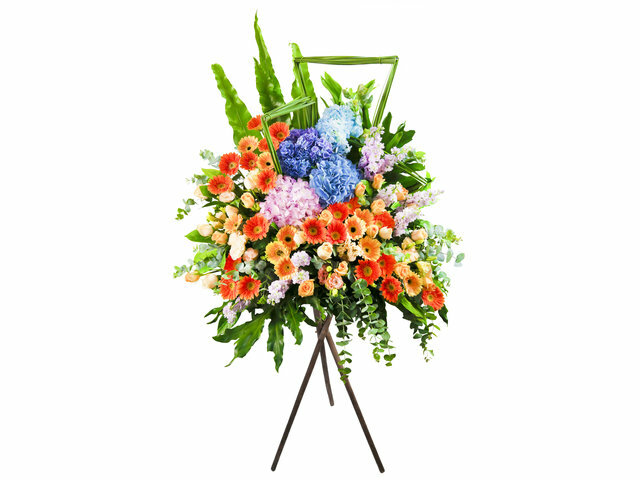 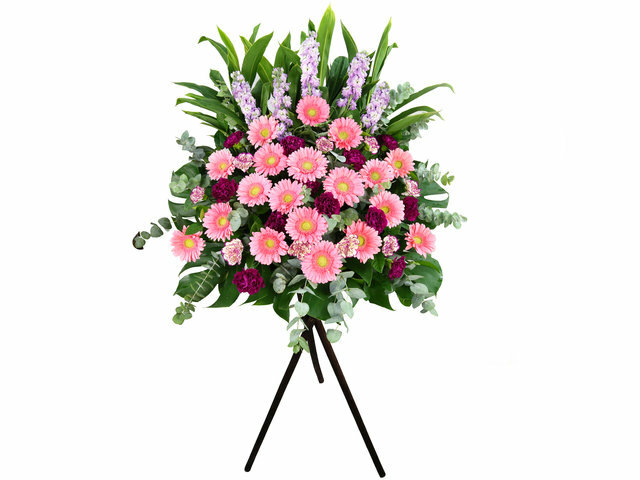 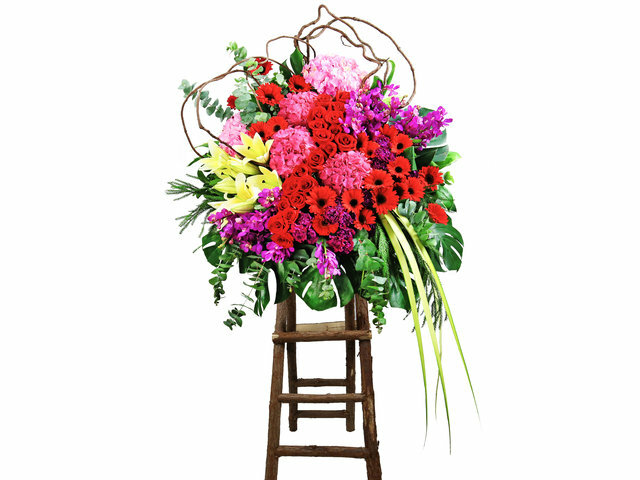 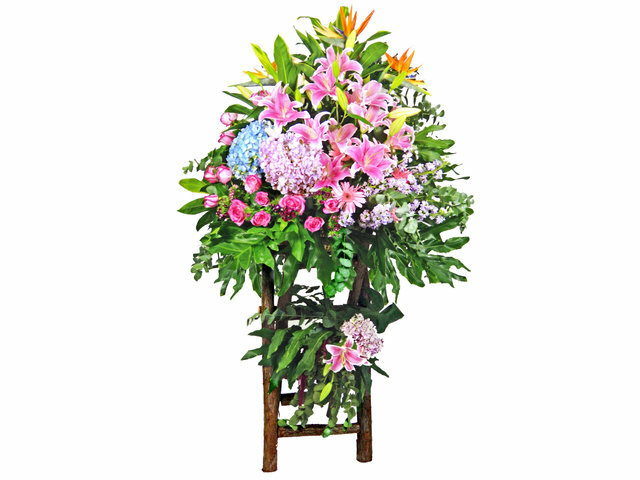 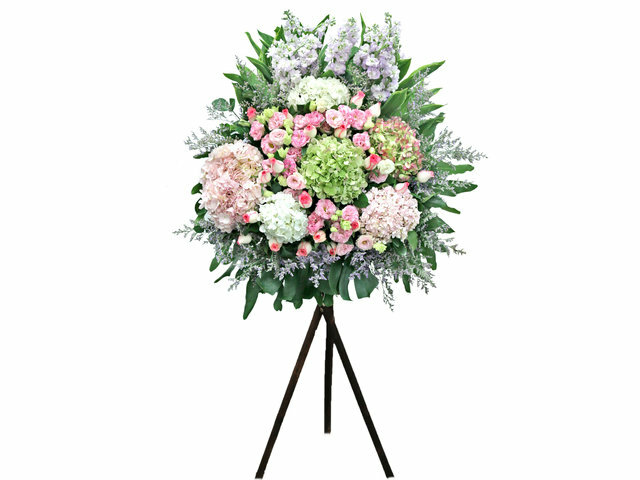 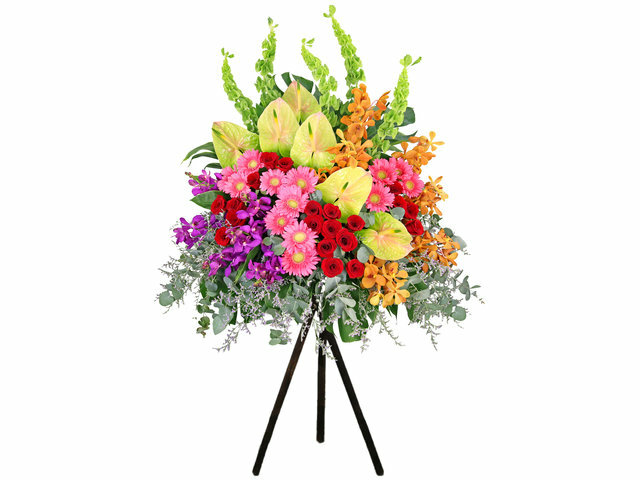 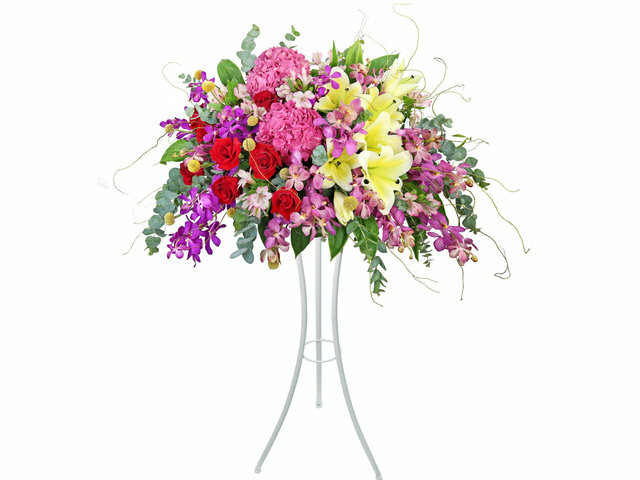 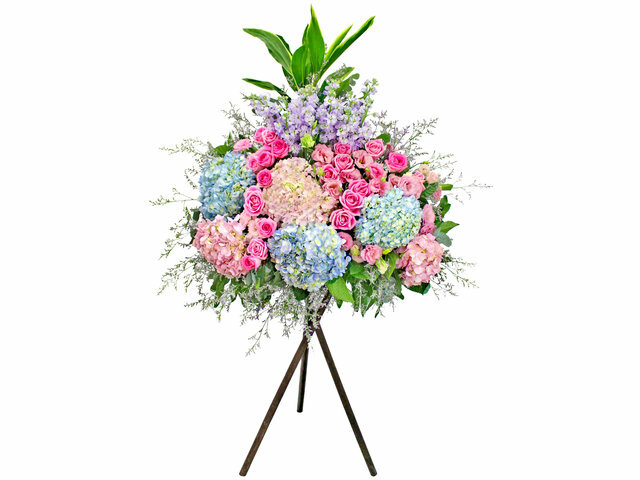 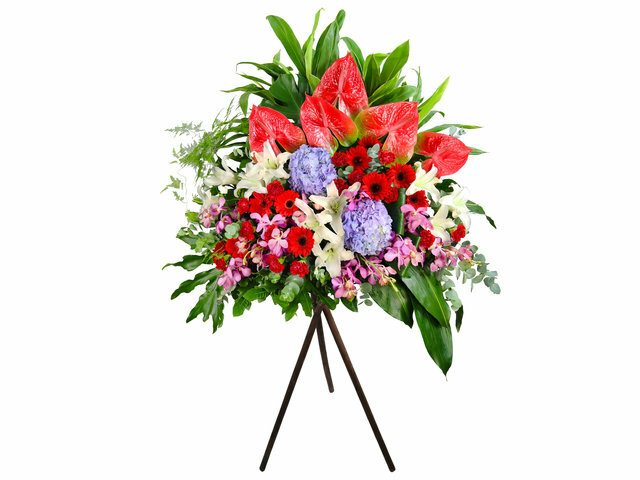 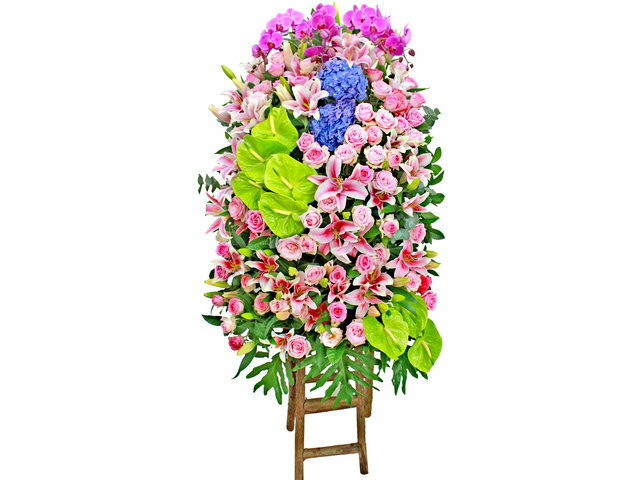 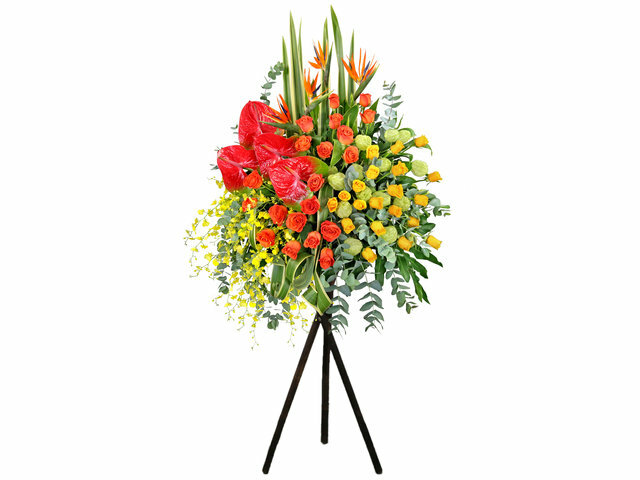 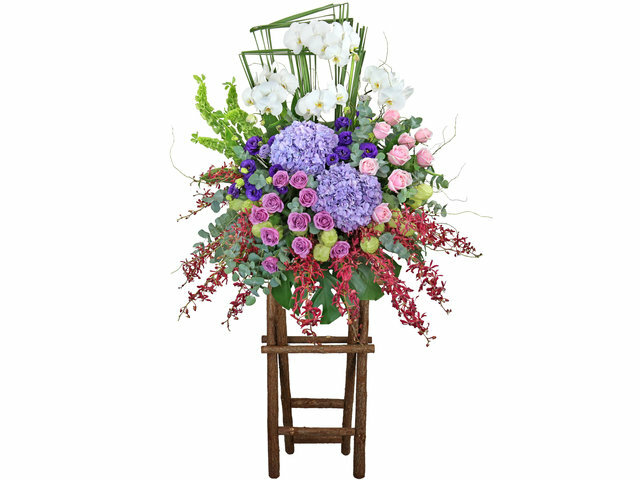 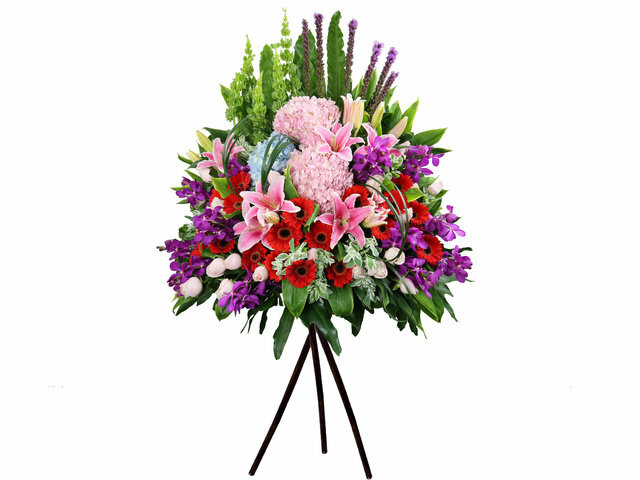 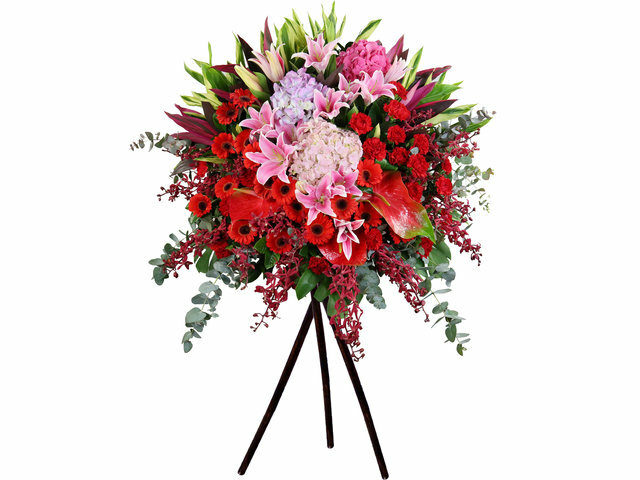 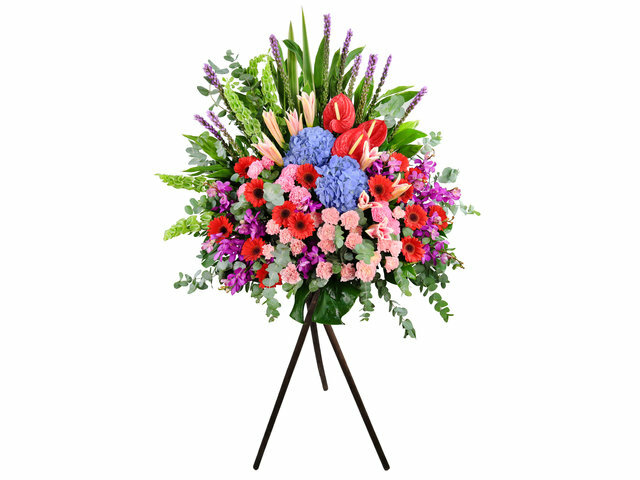 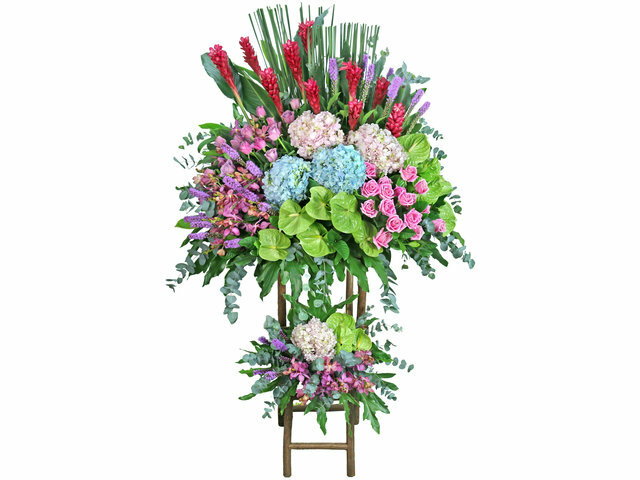 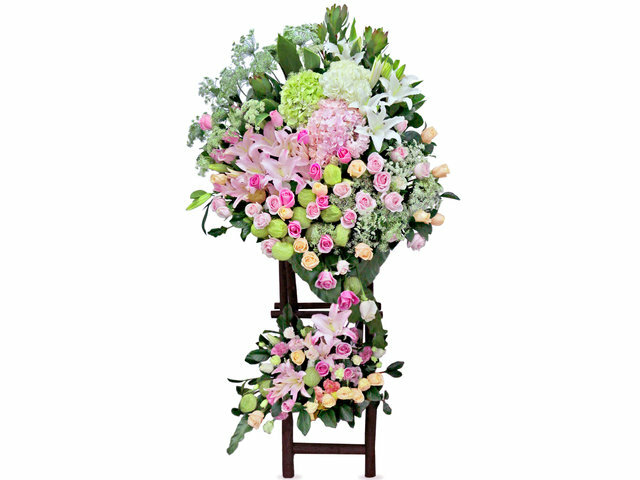 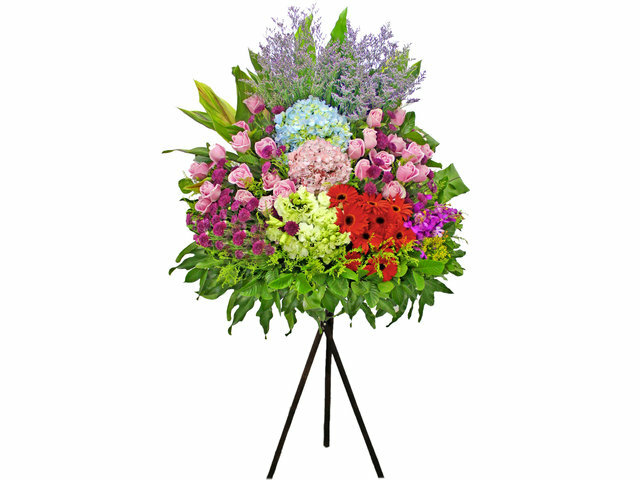 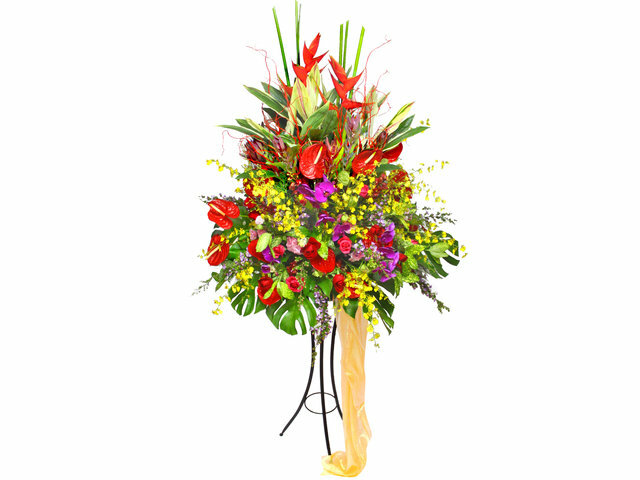 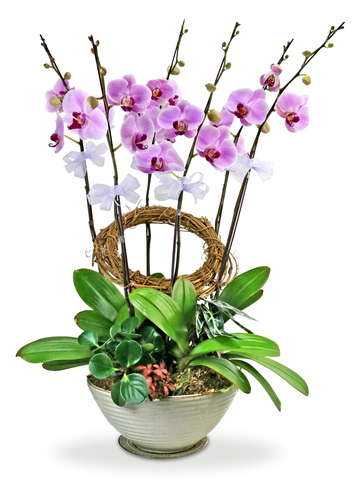 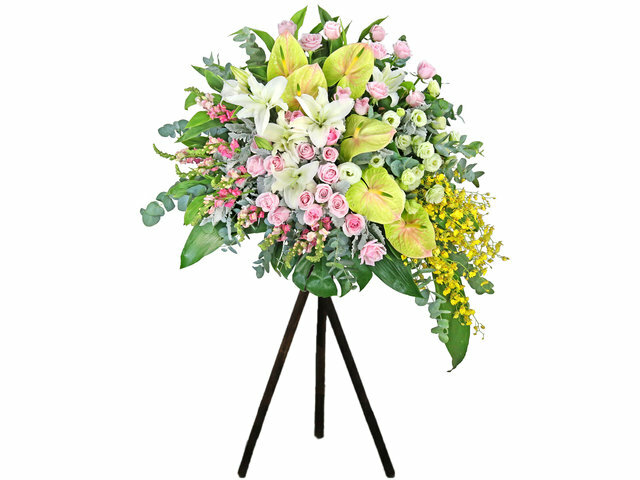 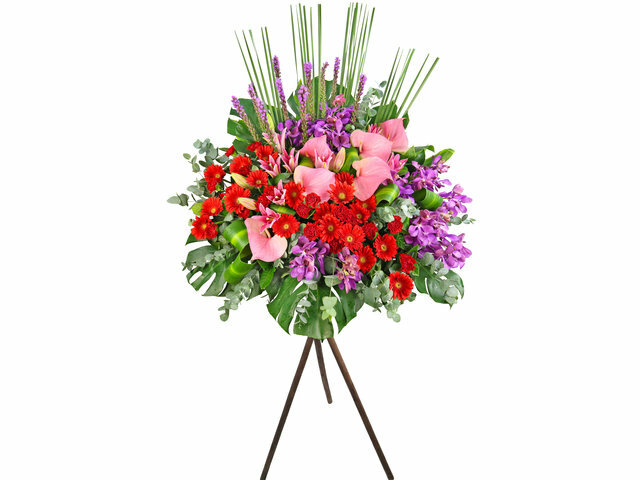 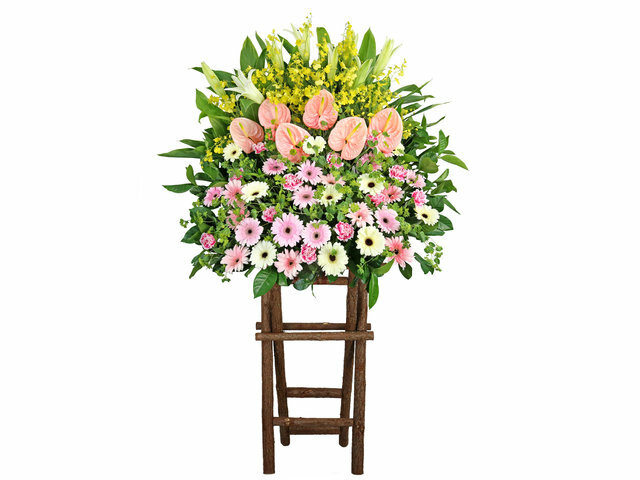 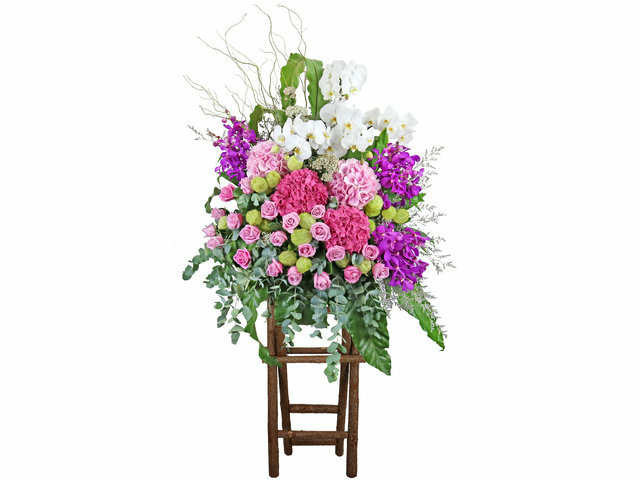 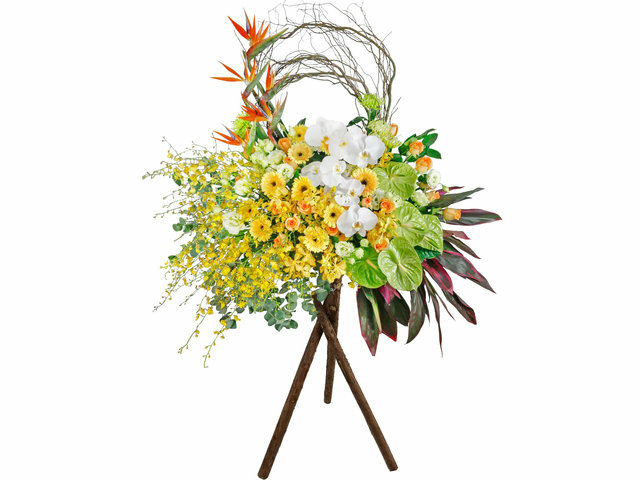 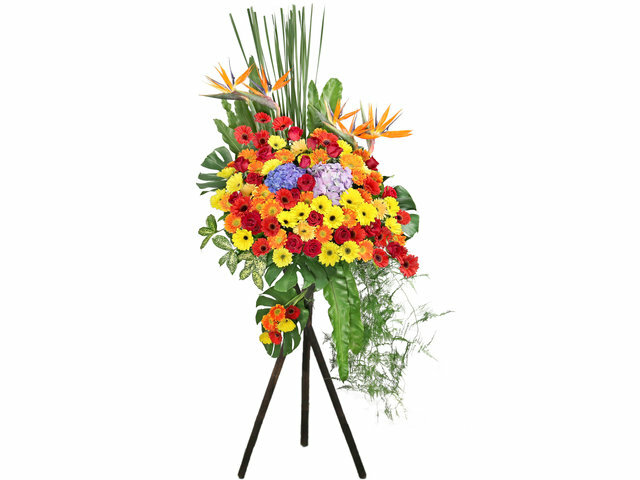 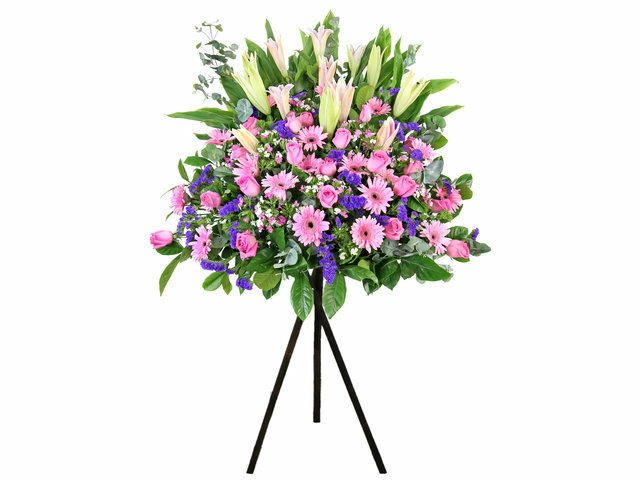 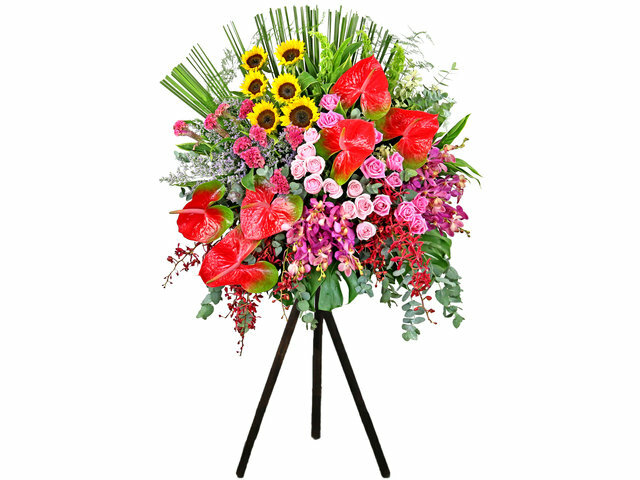 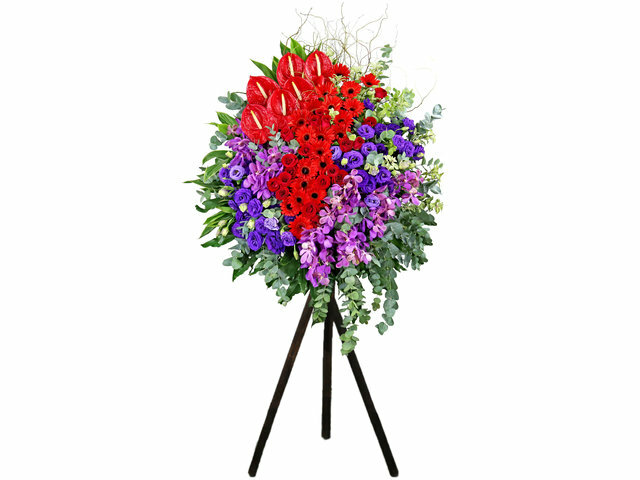 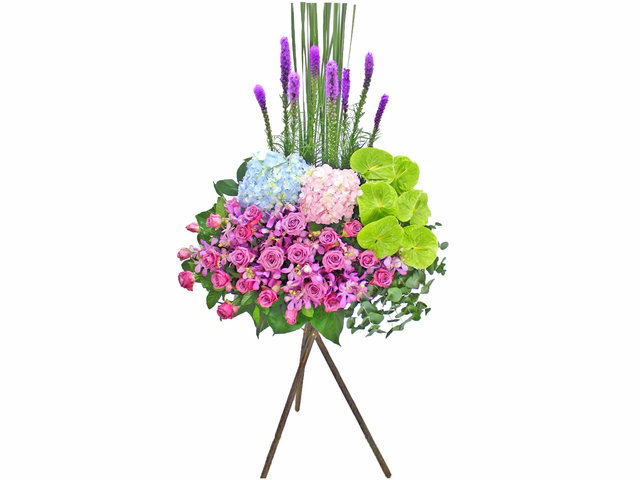 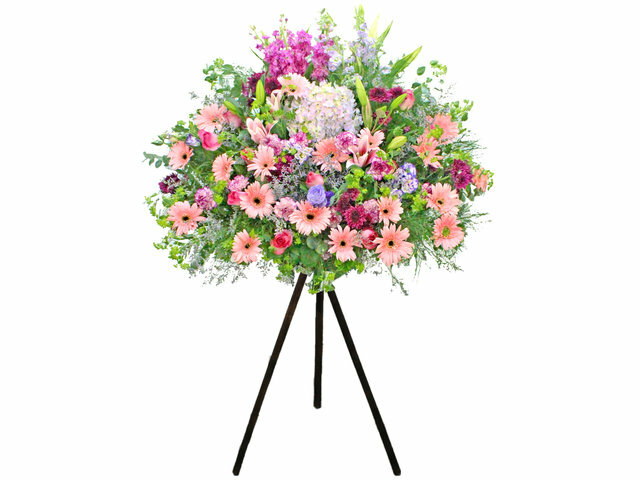 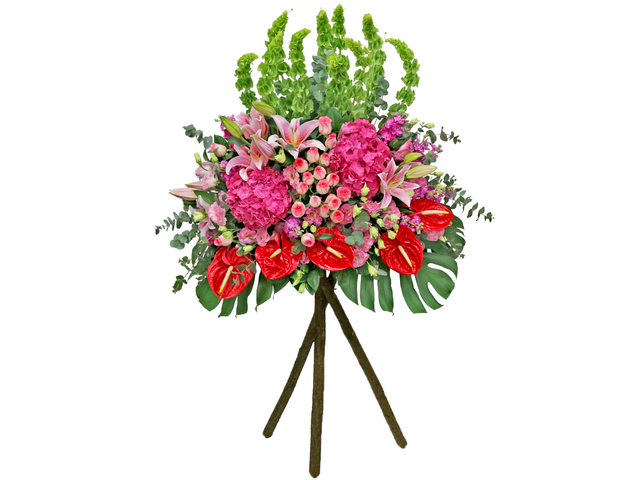 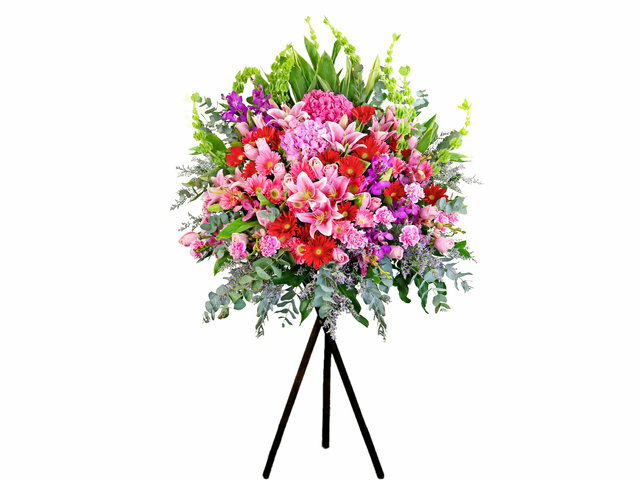 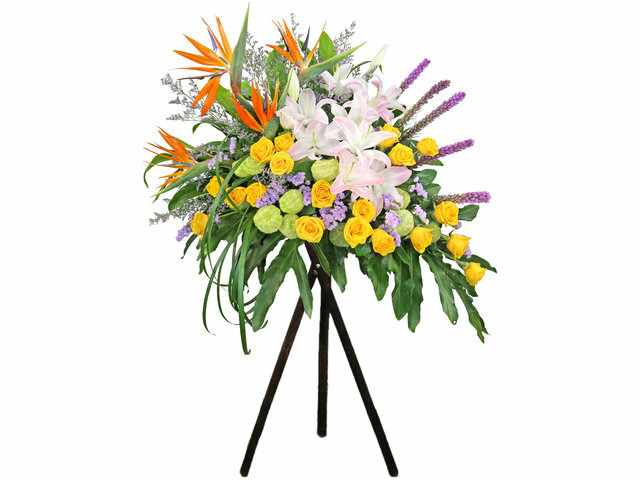 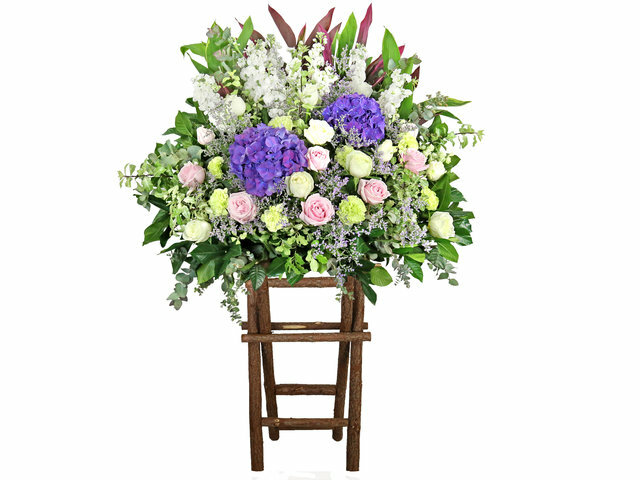 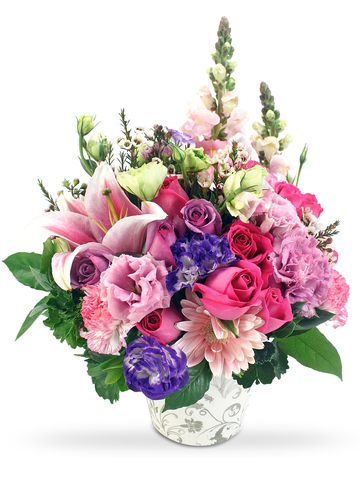 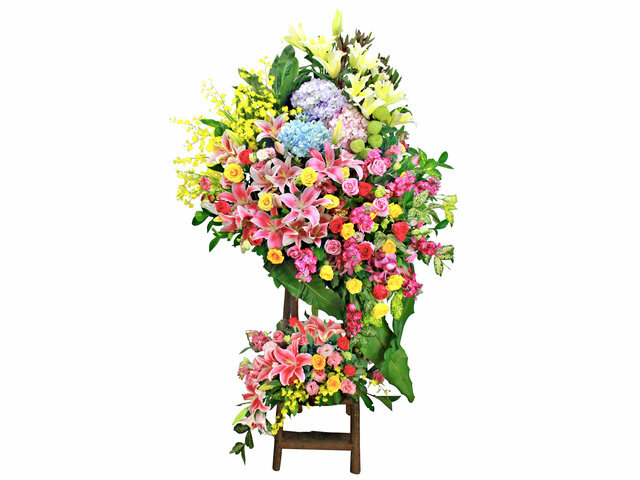 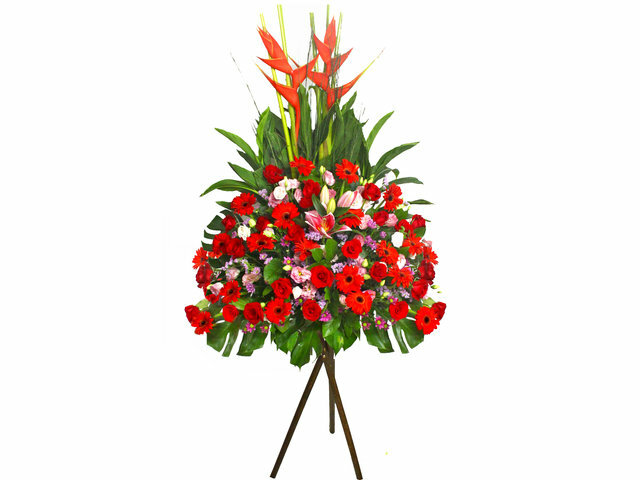 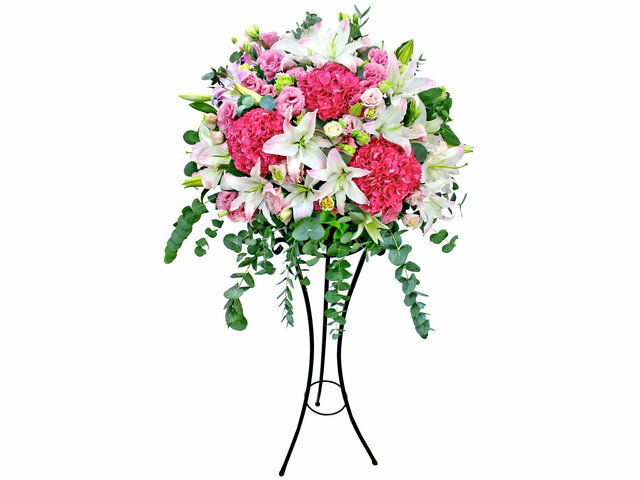 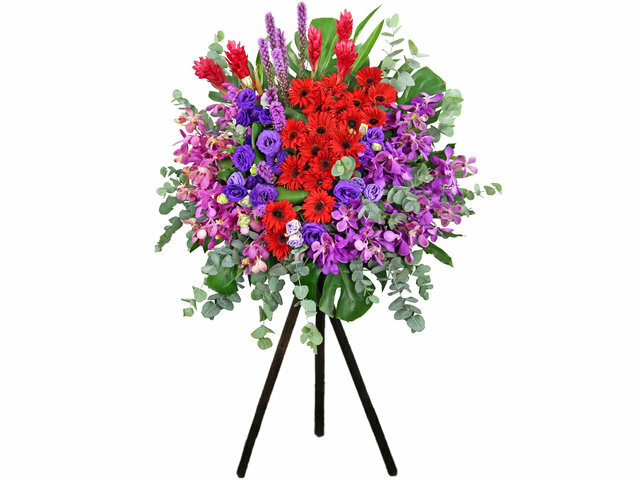 A main advantage of GiveGift Hong Kong gift flower baskets is that we order make flower material purchase twice daily, according to orders, and never need to stock or use flower that are less fresh for our congratulations gift flower basket. 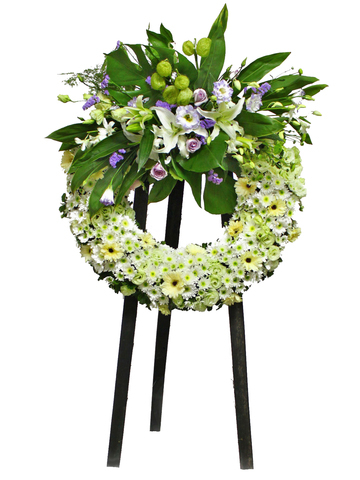 Our new store opening flower baskets are also available without the bottom stands. 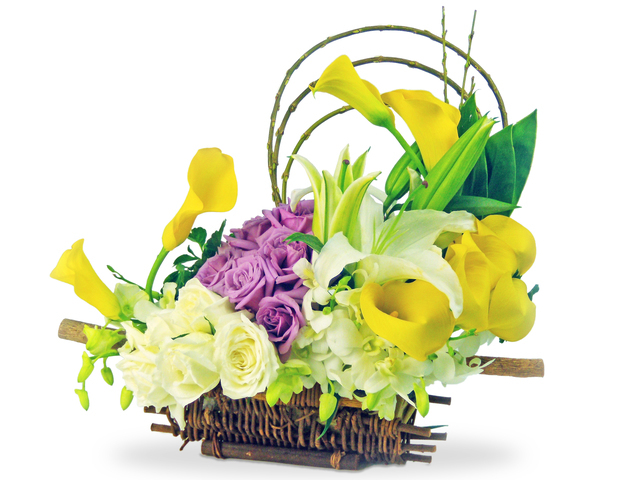 We do not source shipping, because the quality of grand opening flower baskets is dependent on careful delivery. 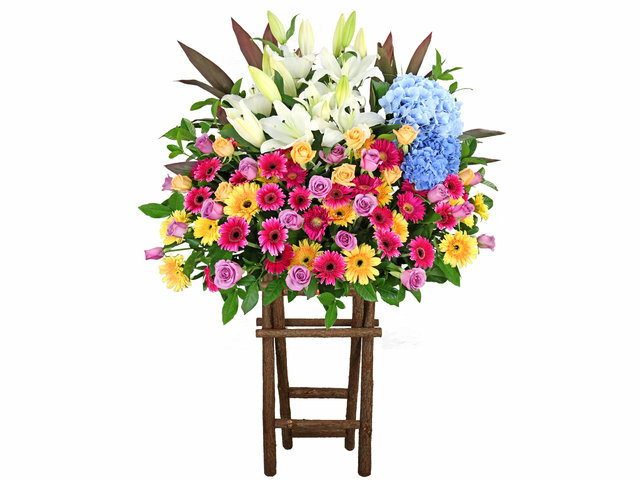 We deliver opening ceremony standing flower basket with van point to point, by our own delivery staff who also install and water the basket at site. 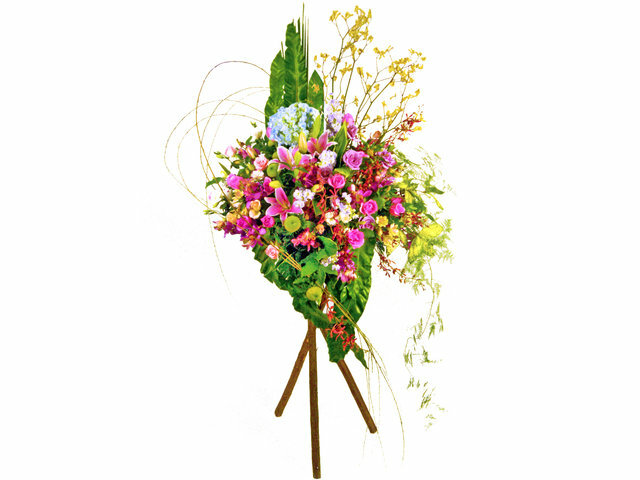 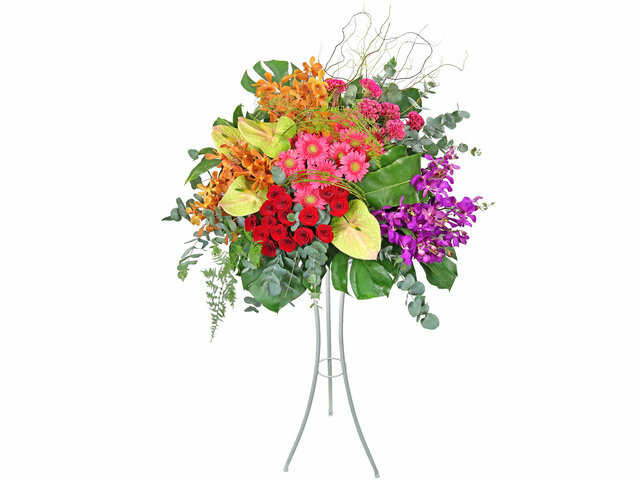 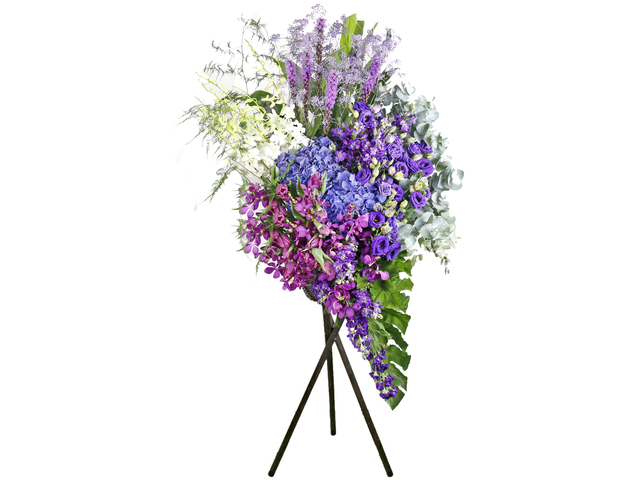 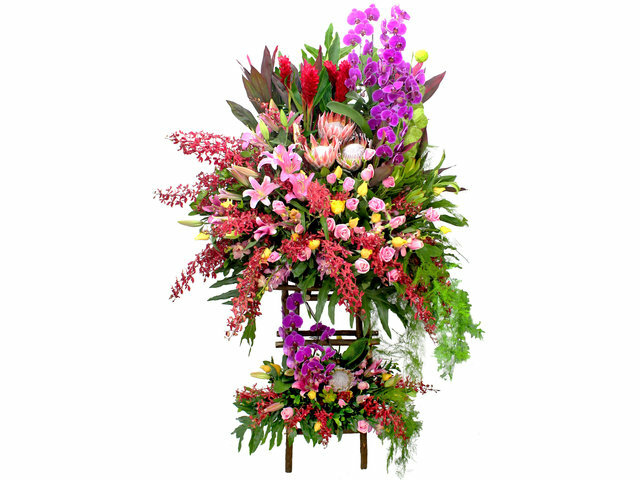 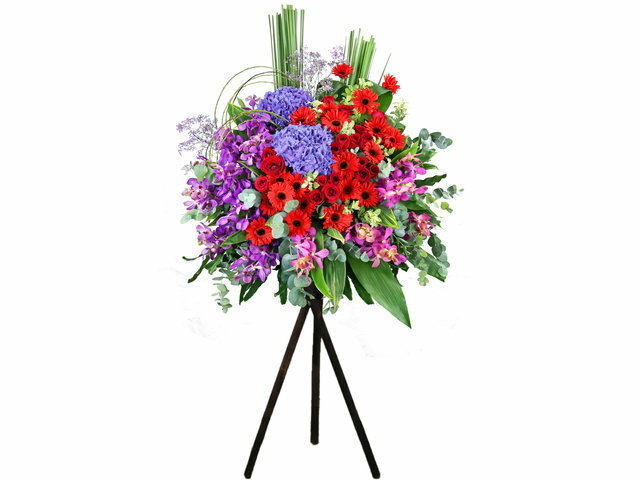 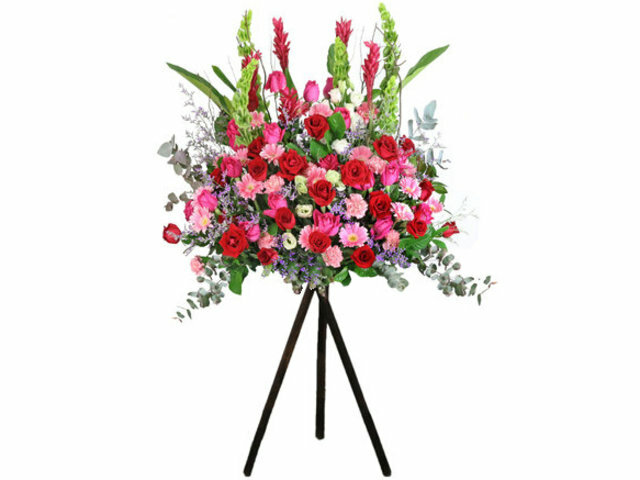 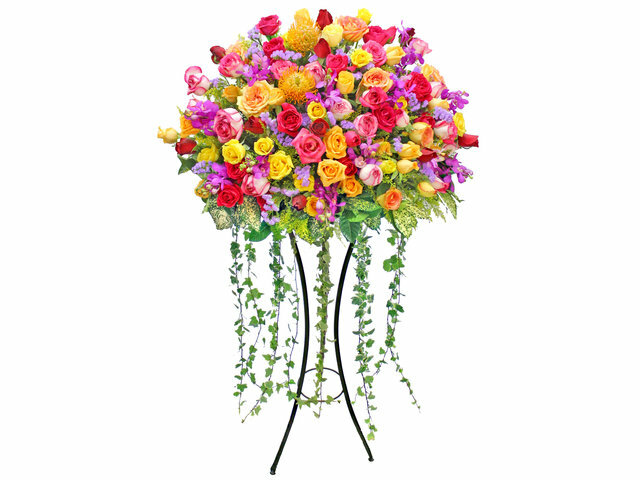 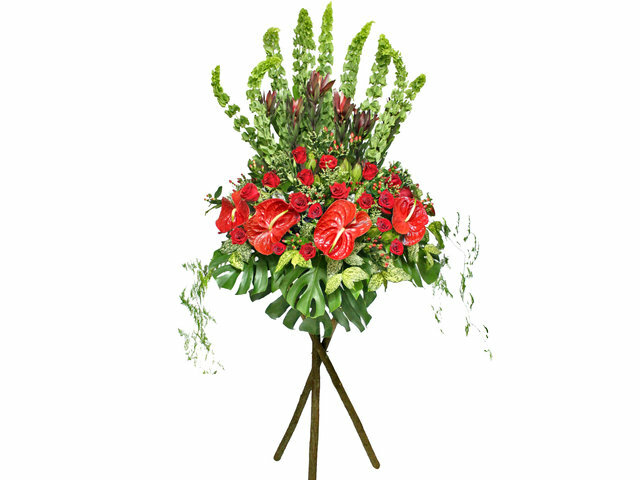 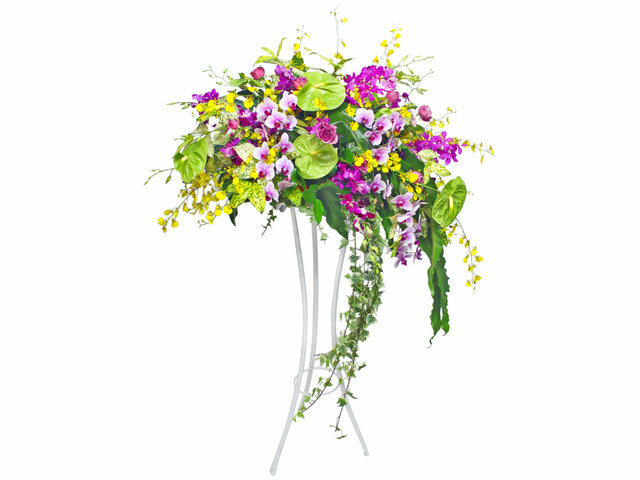 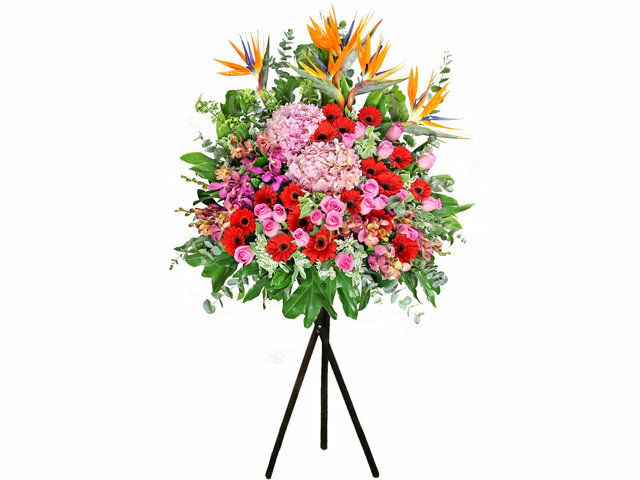 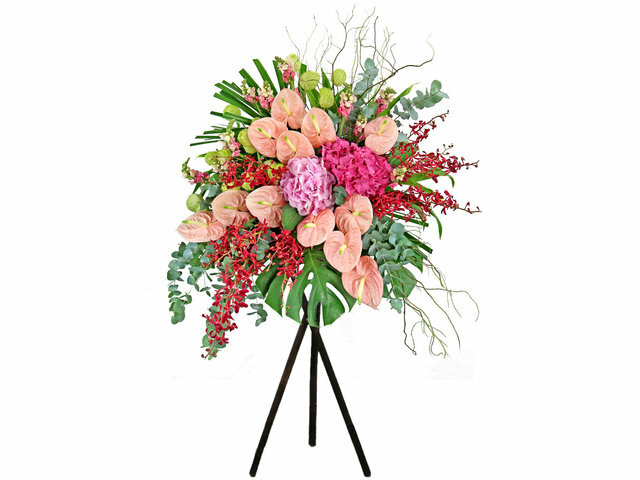 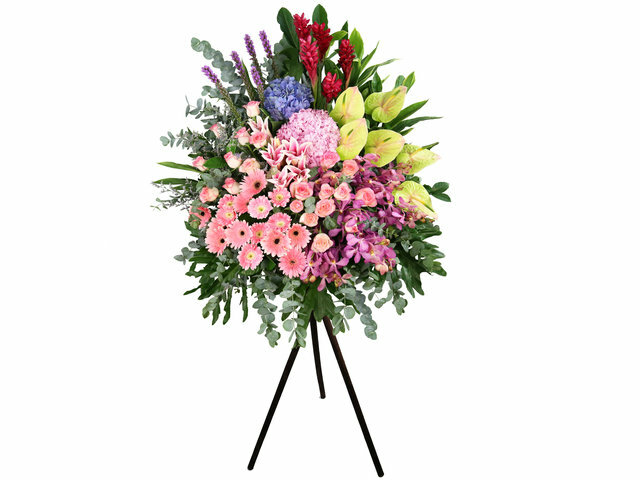 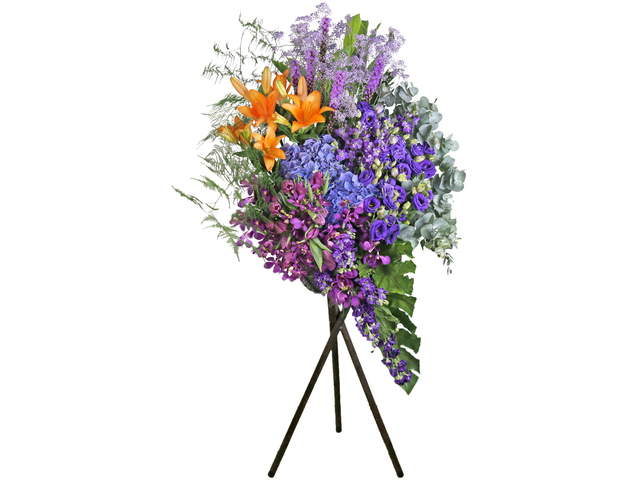 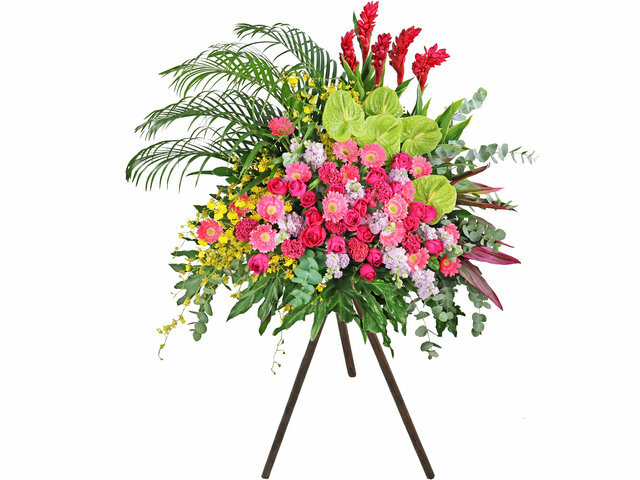 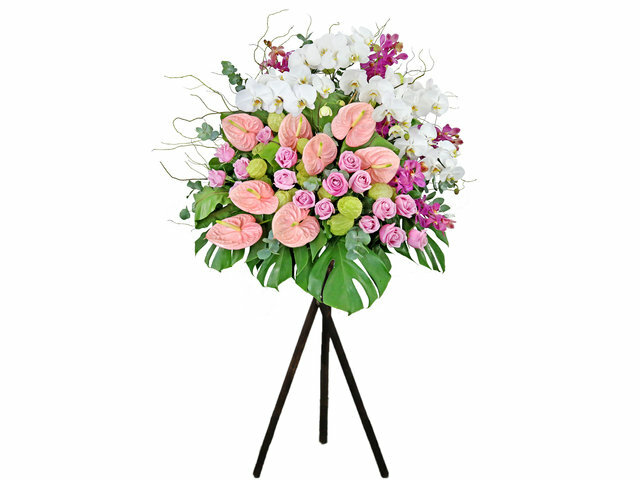 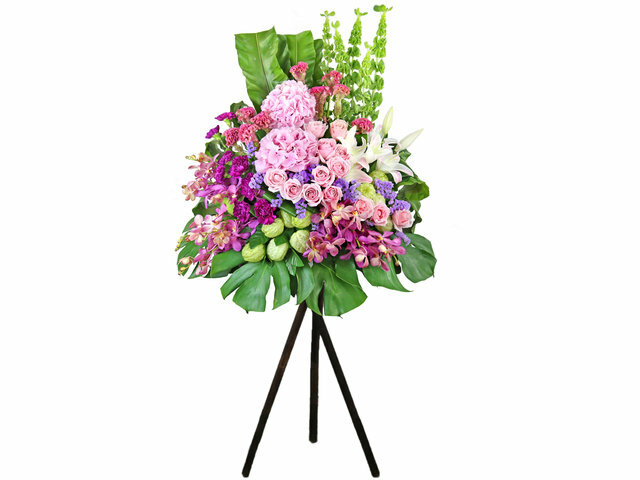 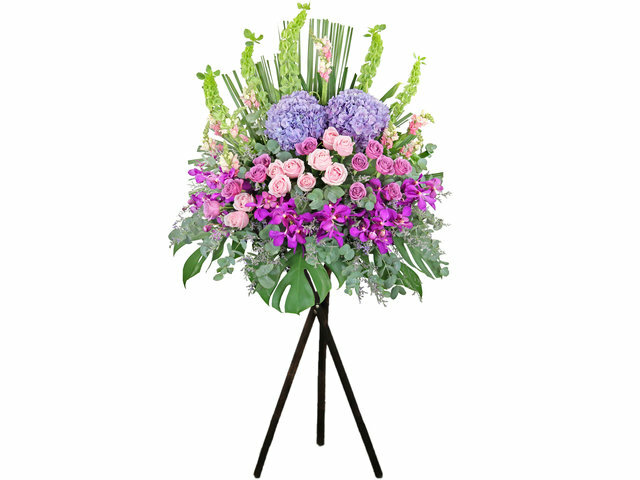 - Hong Kong GiveGift flower shop especially supplies successful exhibition flower gift stands to HKCEC Hong Kong Convention and Exhibition Center in Wan Chai, with many price range and styles to choose from. 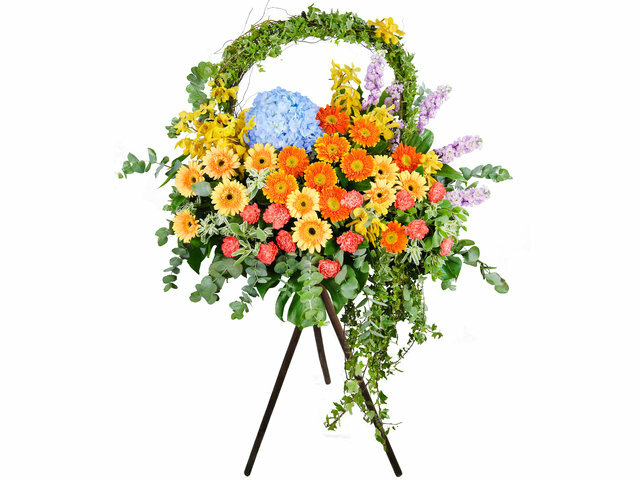 As one of the most popular Hong Kong Convention and Exhibition Center HKCEC show congratulatory flower basket stand suppliers, we receive very positive feedback from our corporate clients on quality, timeliness, and the ability to check instant photo of the order online. 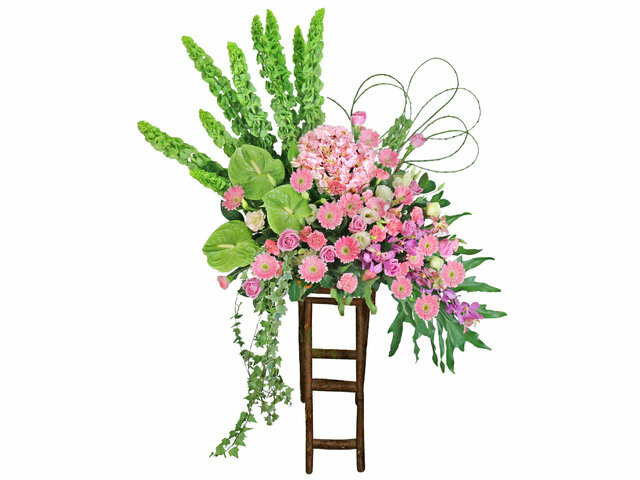 We understand that flower basket stands for exhibitors usually need to last for at least 3 days to a week, placed in corridor with lots of walking traffic, so our exhibition show and event flower baskets are designed to use longer-lasting species, with extra-deep watered floral foam and installed with extra reinforcement. 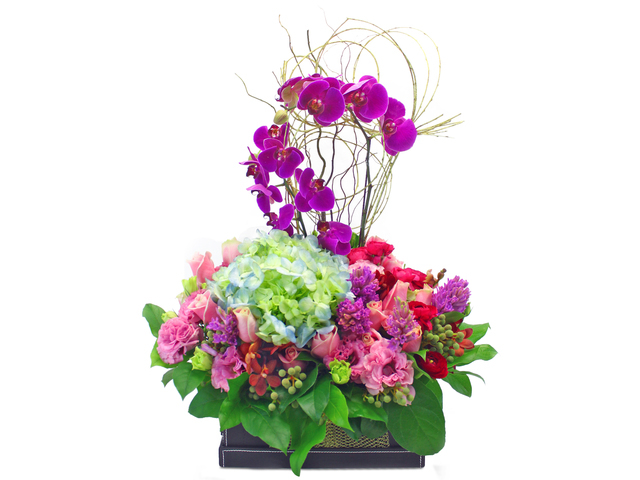 Typical congratulation messages on HKCEC Hong Kong Convention and Exhibition Center and other conference exhibitions standing flower baskets include "Wish you a successful exhibition". 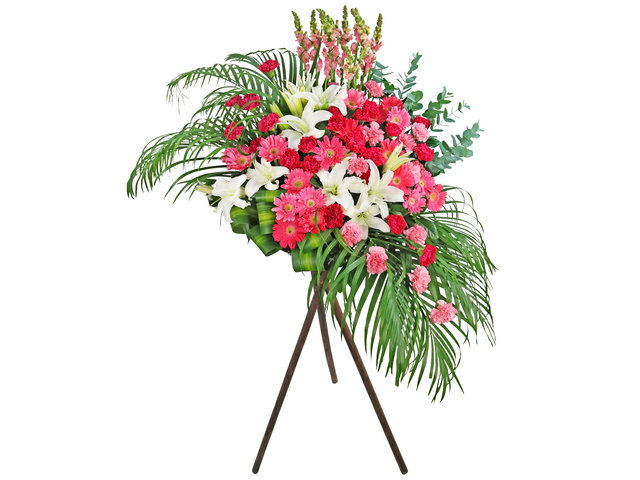 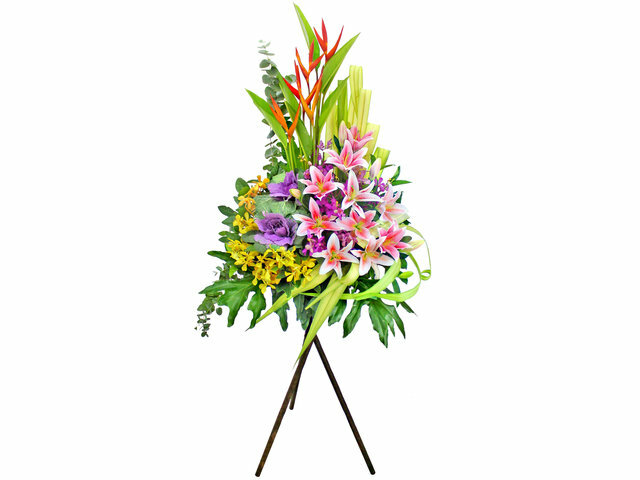 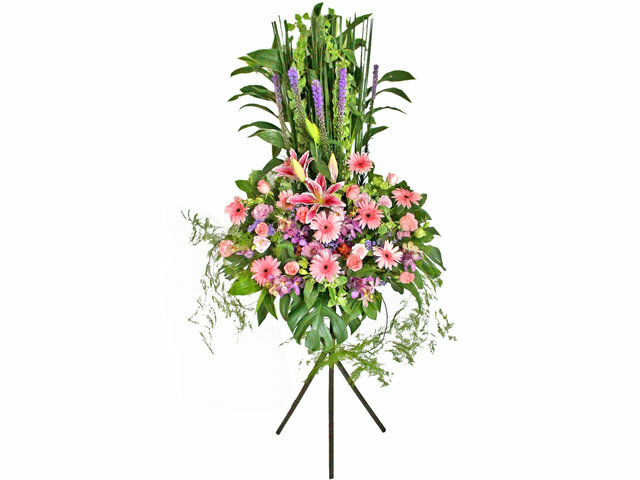 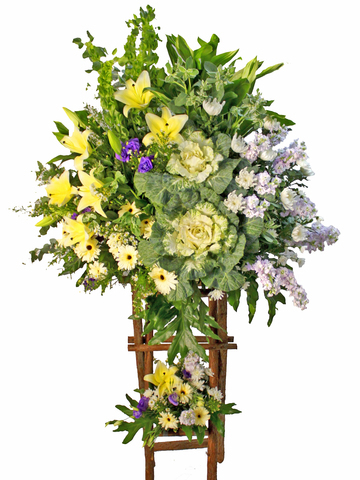 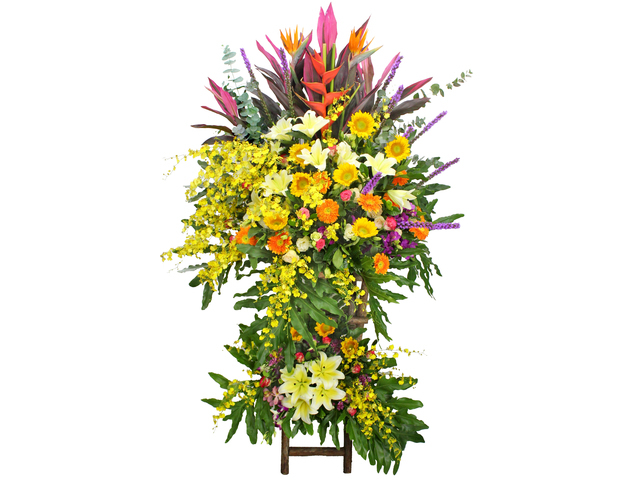 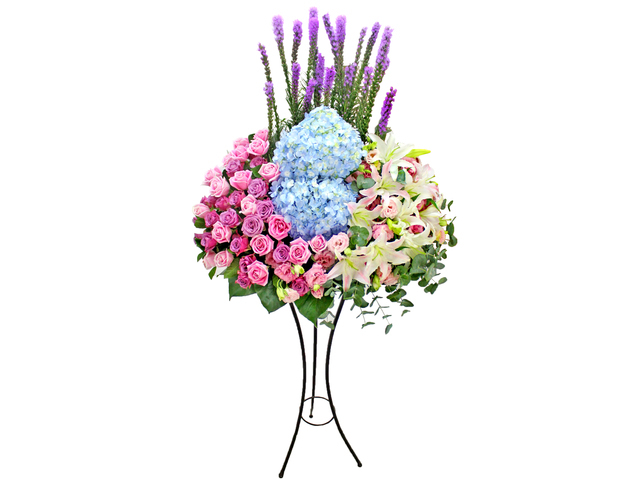 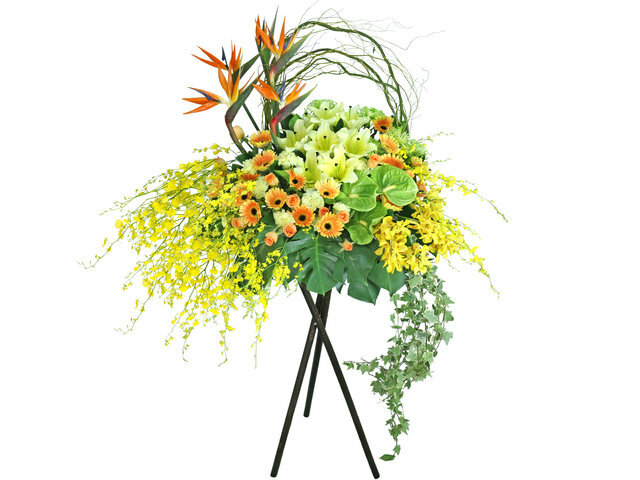 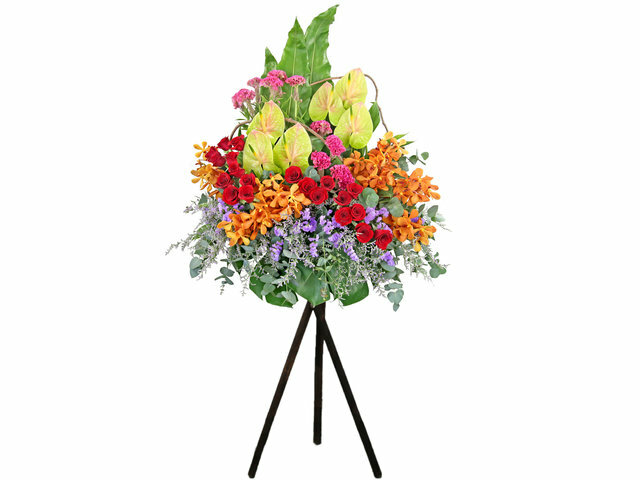 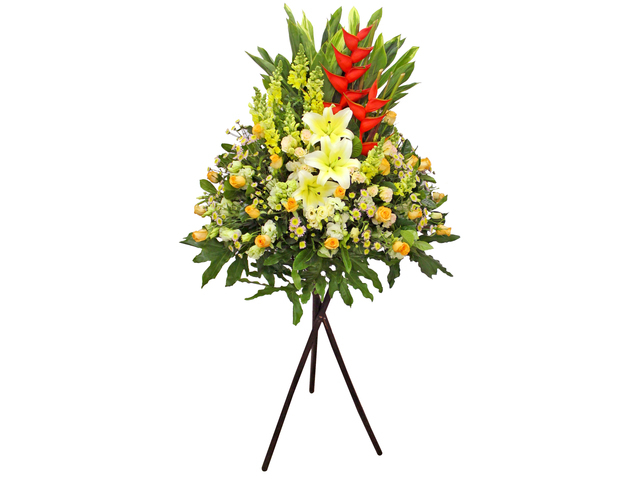 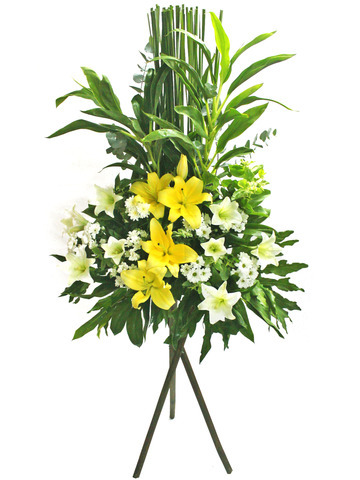 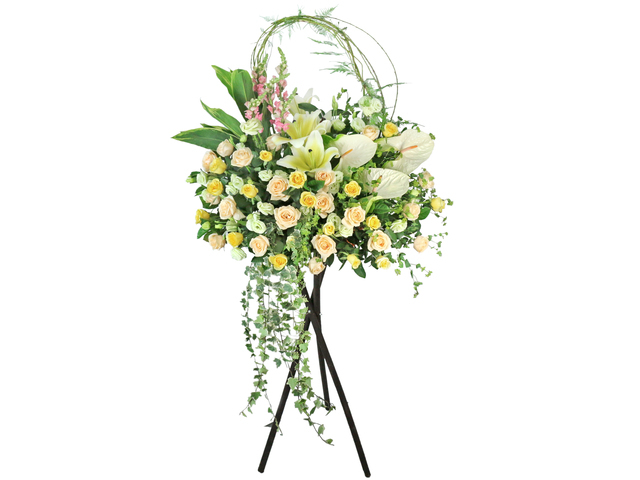 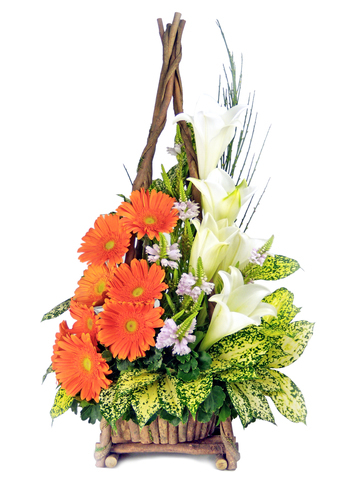 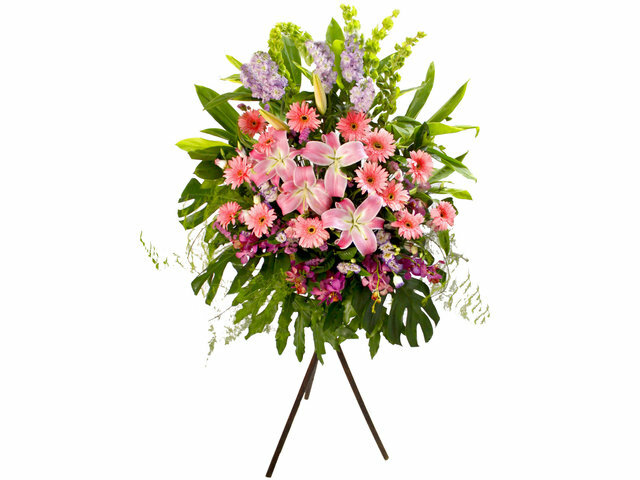 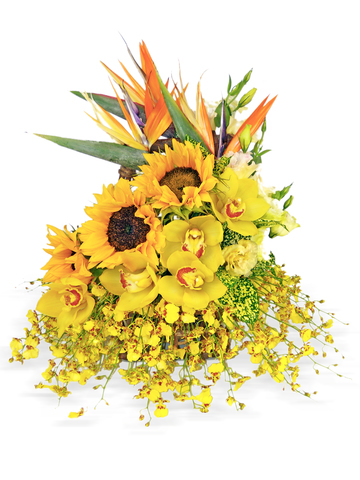 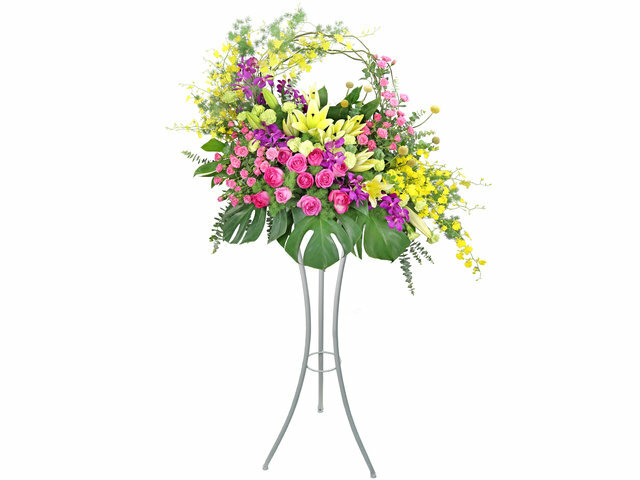 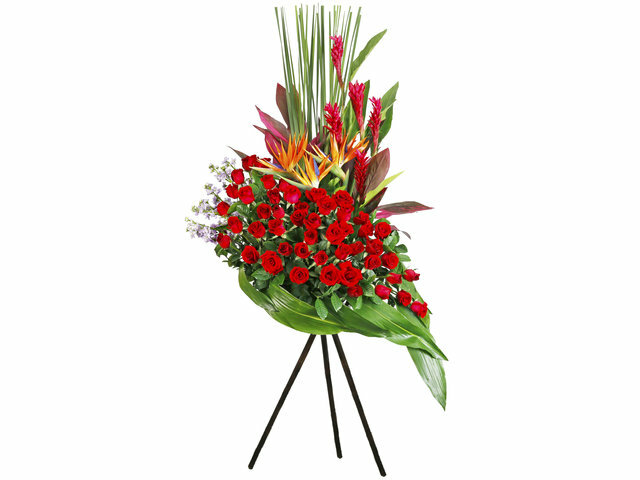 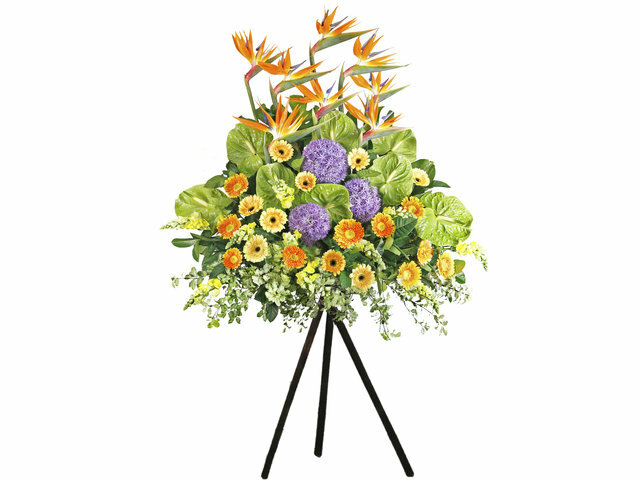 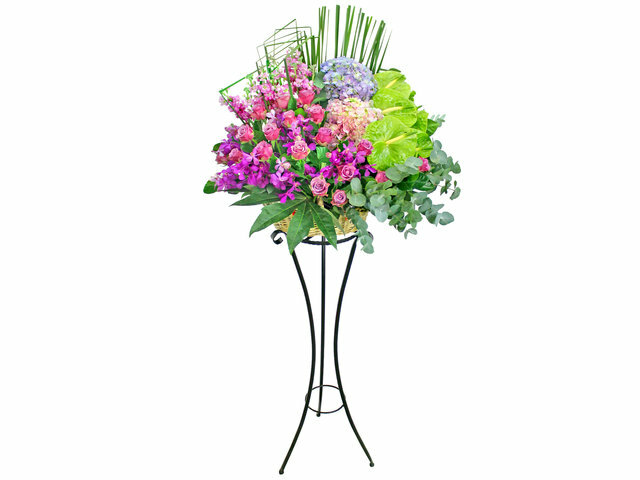 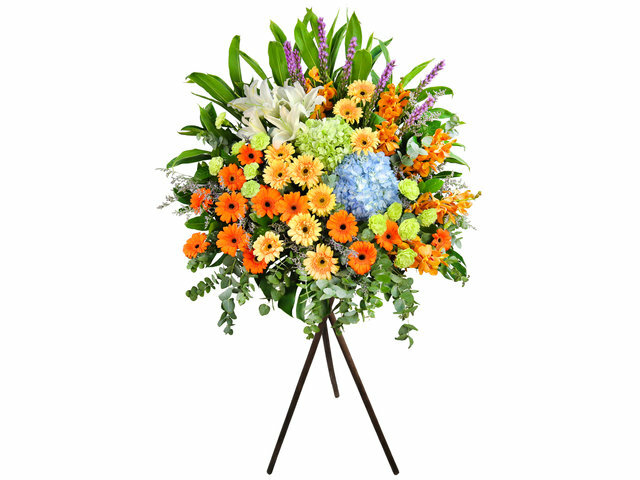 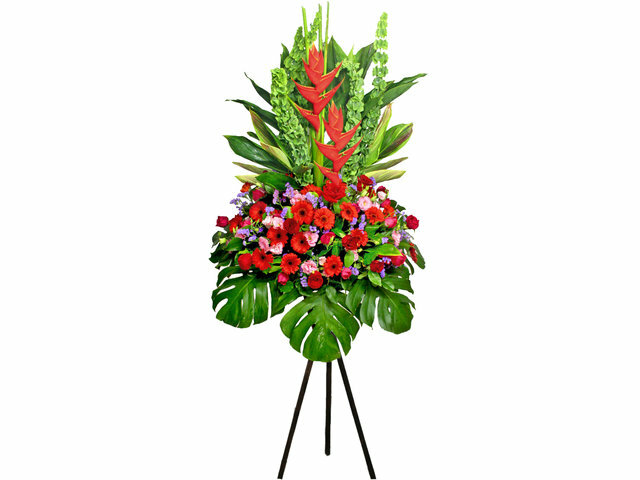 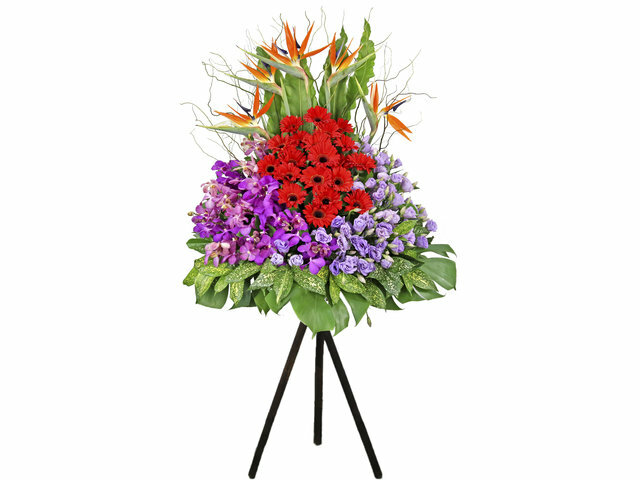 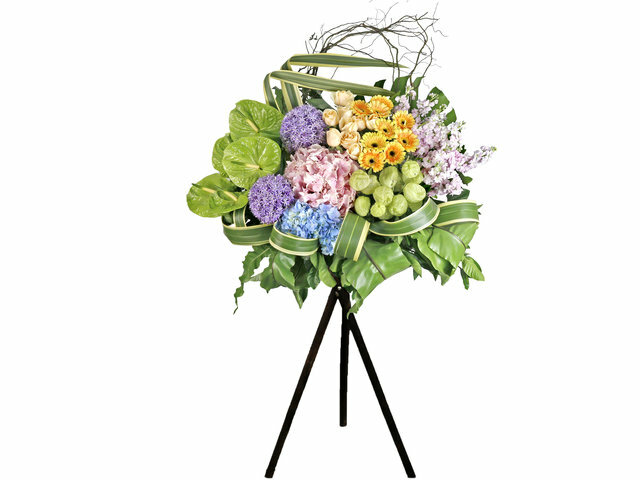 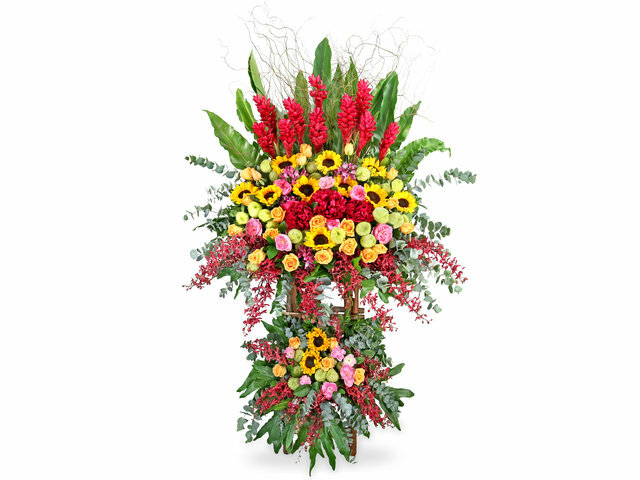 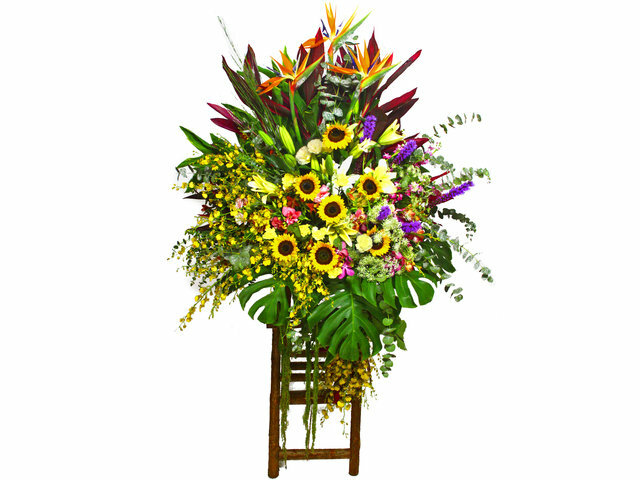 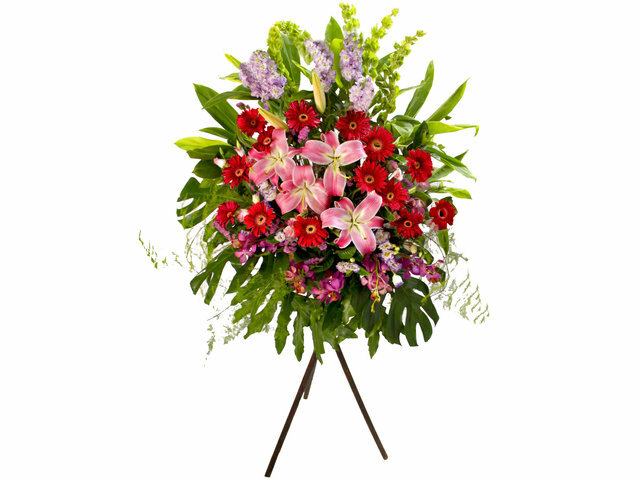 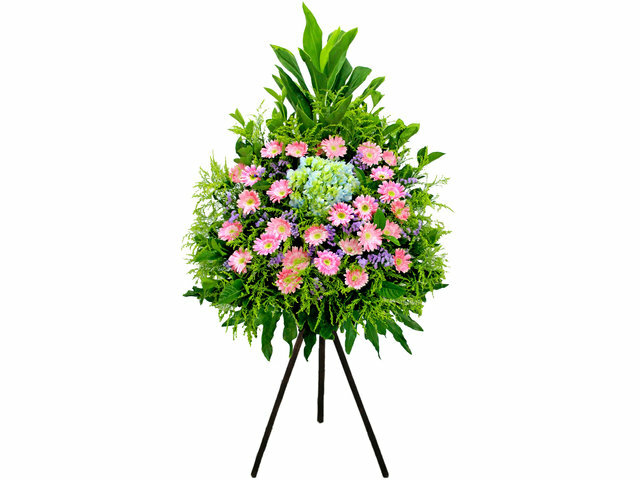 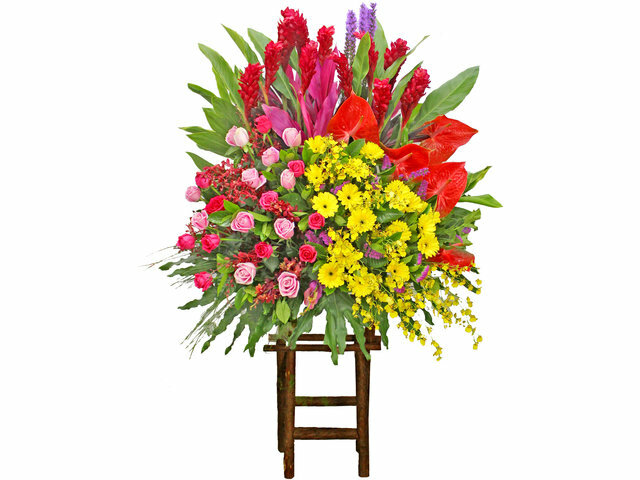 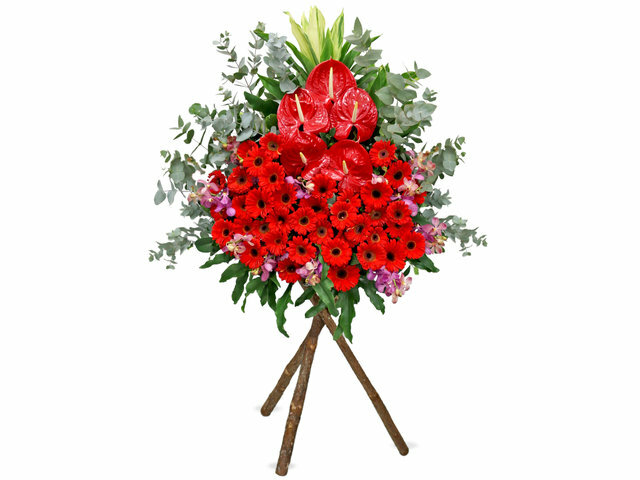 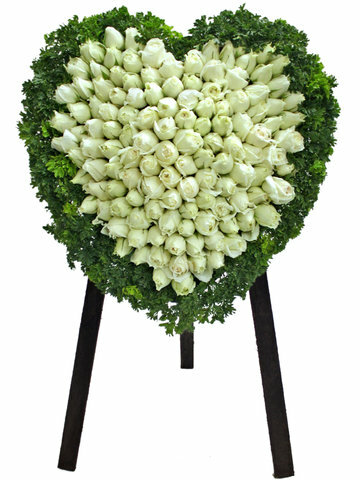 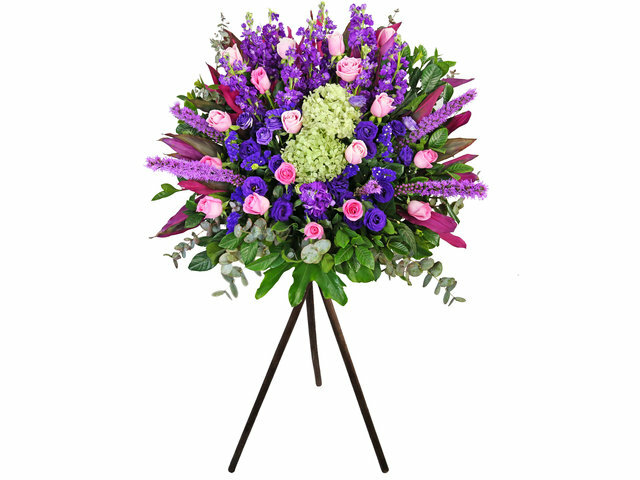 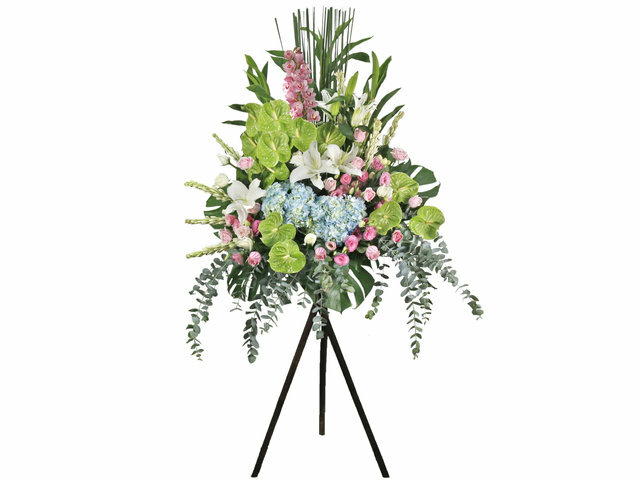 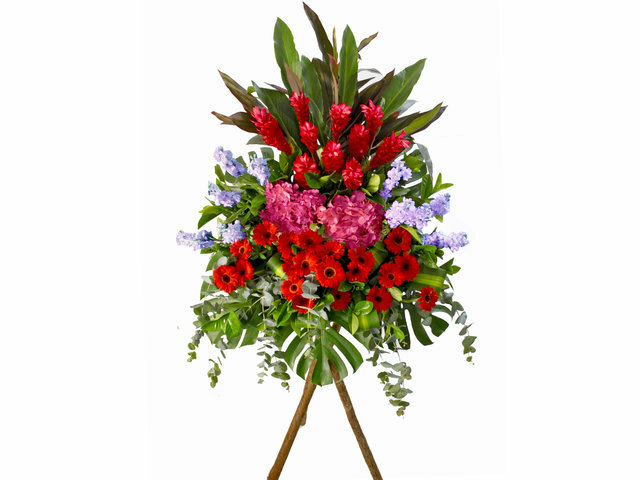 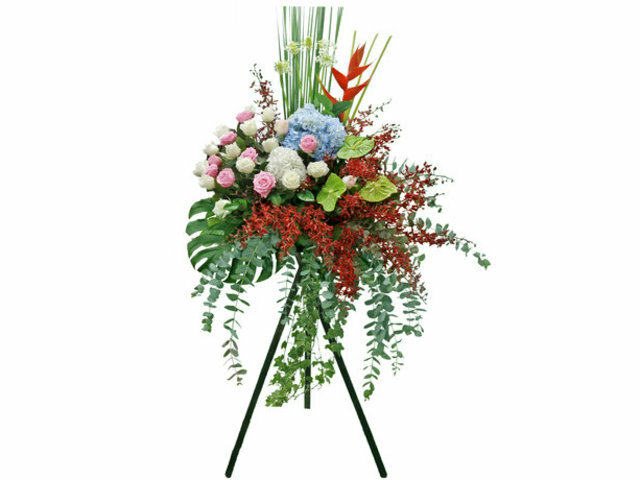 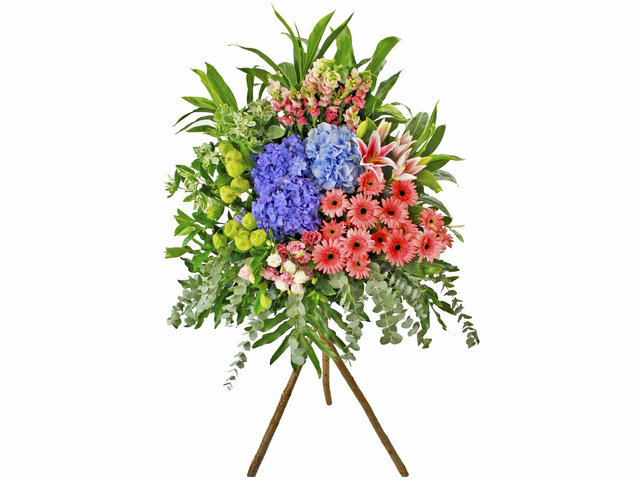 Our florists can custom design the right flower arrangement and congratulation board.